Go and Show!!! Key on lockbox in the front door. OVER 1/4 ACRE expansive entertainer’s yard surrounded by lush greenery and offering a sparkling pool perfect for summer time! 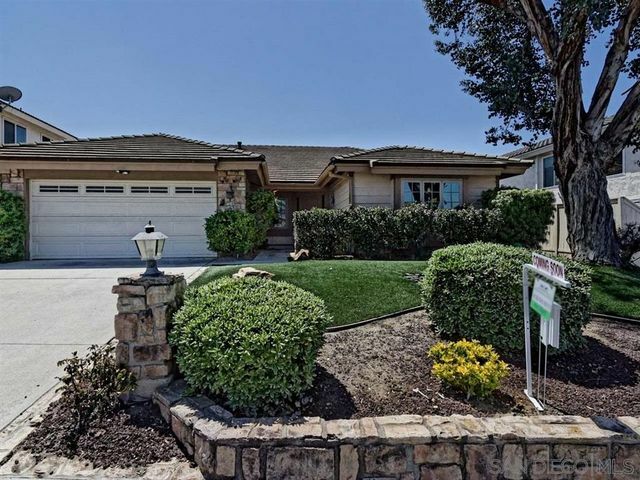 Premium corner lot home situated on a tranquil cul-de-sac centrally located close to schools, shopping, wine country and more! 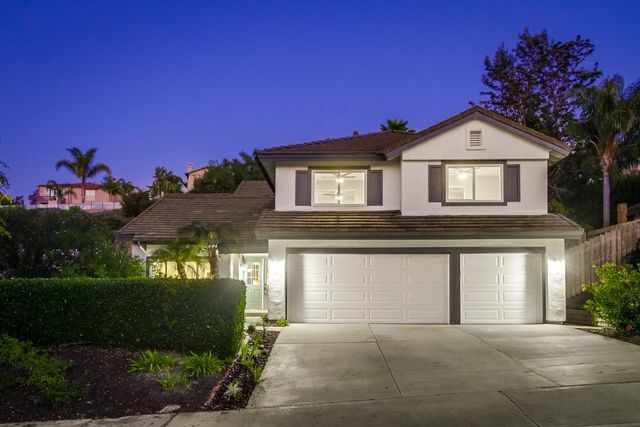 Desirable bright and open floor plan flows wonderfully and features formal living and dining area, remodeled kitchen overlooking family room, private master suite, and 3 spacious secondary bedrooms. 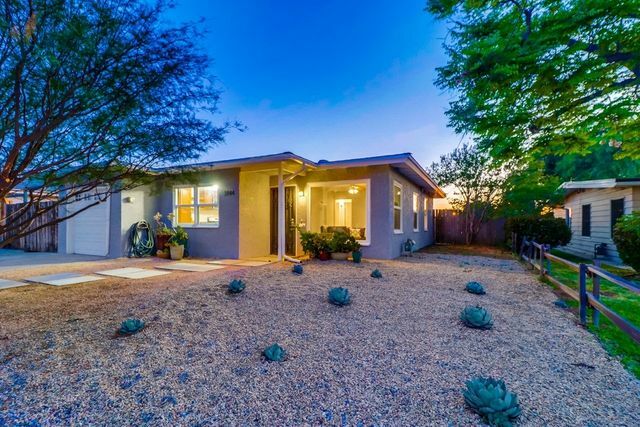 Highlights include NO HOA, solar energy system, stylish touches through out, cathedral ceilings, entry level bedroom, wood-like floors, covered patio perfect for relaxing, extra outdoor space and so much more! Entertaining offers b/w $5,750,000-$6,450,000. Nestled in the hillsides of La Jolla overlooking the city & Pacific Ocean, sits Summit House-a magnificent brand new, custom construction contemporary estate designed by world-renowned architect/builder Roman James from Beverly Hills.With stunning ocean views from every room, Summit House offers 2 private elevators, movie theater, numerous viewing decks, a walk-in wine cellar, office, yoga studio & detached guest house w/ full kitchen. 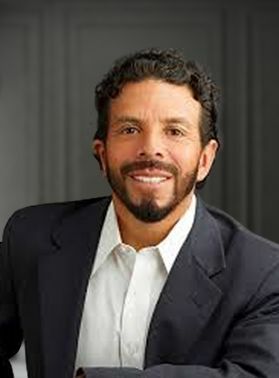 A leader in luxury custom home development in California, Roman James Design Build has created some of the most remarkable homes & achieved record-breaking sales prices on an international spectrum. Summit House brings the signature Roman James innovative, contemporary bold architecture & design to the San Diego coastline. Built with the finest materials, no expense was spared in the construction of this one-of-a-kind masterpiece. Luxury coastal living awaits! A grand, easy care family home. 5 Bedrooms, 6 baths and 4 car garage courtyard. All bedrooms are ensuite with a bedroom conveniently located on the first floor. Spacious kitchen opens to family room with wood burning fireplace. Master has adjacent sitting area and children's wing has 3 bedrooms and additional family area. Yard is an entertaining oasis - pool, waterslide, fire-pit. Your staycation paradise. Fully fenced yard with 10 fruit trees and raised vegetable beds. PAID SOLAR. Low Mello Roos. Craftsmanship and careful attention to detail have gone into every inch of this classic California inspired property. You’ll welcome guests to your new home in an elegant foyer, complete with curved staircase, balcony, and chandelier. Your kitchen is immense with all stainless steel appliances, granite countertops and backsplash, and generous cabinet space. 10 foot ceilings add to the open floorplan design of this property, and you’ll find rich hardwoods in your dining room, sitting area, and billiard room. Multiple fireplaces are designed to provide an intimate atmosphere in areas such as the great room. The master suite has a two sided fireplace, one side facing the large bedroom and the other over your Jacuzzi master bath.soaking tub.pool. VMR $475,000-$499000. Wonderful Curb Appeal with Mature Landscape. Move-In Ready, Located in the Gated Community of Rock Springs Cove. Quite Cul-de-sac. Freshly Painted Interior. Cozy Fireplace in Living Room with Floating Mantel. Open Concept Kitchen Looking out to the Backyard that Backs to a Private Preserved Open Space. Vaulted Ceilings in Master Suite with a Large Walk-in Closet. All Three Bedrooms Upstairs including the Laundry Room. Well Throughout Floor plan. Close to the 15 and 78 for Commuters!! 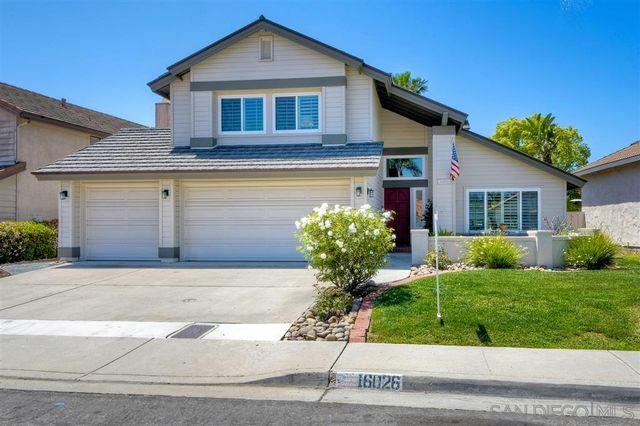 Absolutely charming home nestled on a cul-de-sac in the heart of Temecula Wine Country! 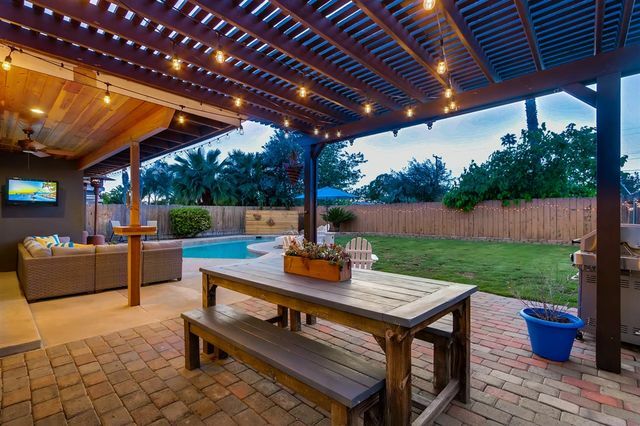 Enjoy the perfect backyard for entertaining and summertime relaxing featuring a covered patio area, fire pit, spacious pool with retractable cover and low maintenance landscaping! Chic and stylish touches are beautifully displayed throughout a bright and flowing open floor plan with generous space, solar system, entry level bedroom, master suite and so much more! Modern open concept kitchen overlooks family room and has been upgraded with stunning counters, popular white cabinetry and custom tile backsplash. Ready for you to call home! 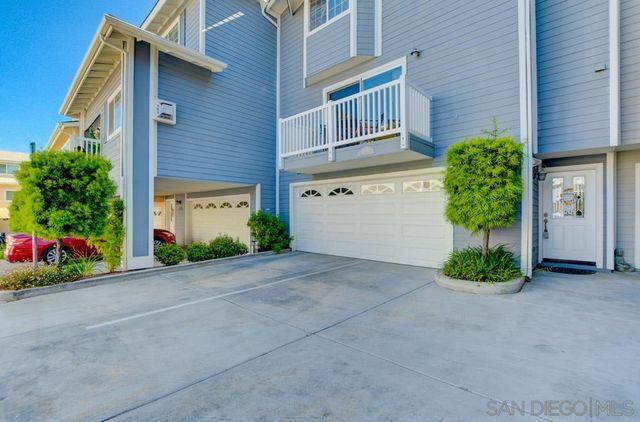 Contemporary South Park townhome with panoramic views & fantastic location! Enjoy stunning canyon & mountain views from every room in this 3-level home, walking distance to local South Park shops & restaurants! Spacious, open 1,665 SF floor plan with 3 Bedrooms & 2.5 Baths, including private top-floor Master Retreat with large closet & en-suite bath. Solid granite counters, stainless steel appliances, fireplace, view balconies & patio, central heating, attached garage.. this home has it all! No HOA fees! Welcome home to Fashion Hills! 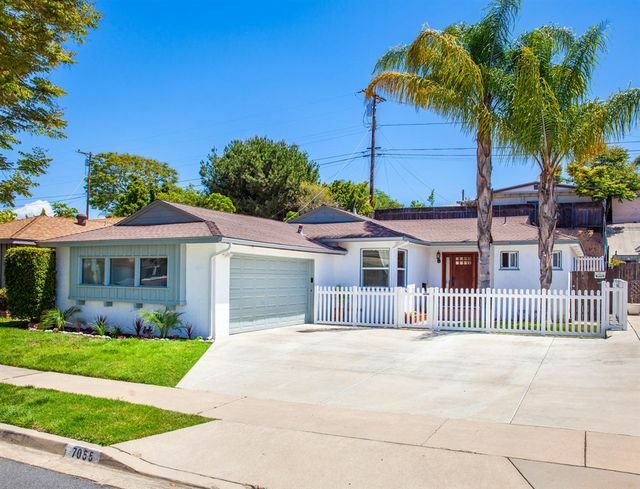 This beautifully remodeled, move-in ready three-bedroom, three-bathroom home has approximately 1501 square feet of living space and a one-car attached garage plus additional driveway parking. The open-concept floor plan is perfect with living room open to dining room, kitchen and bar area. 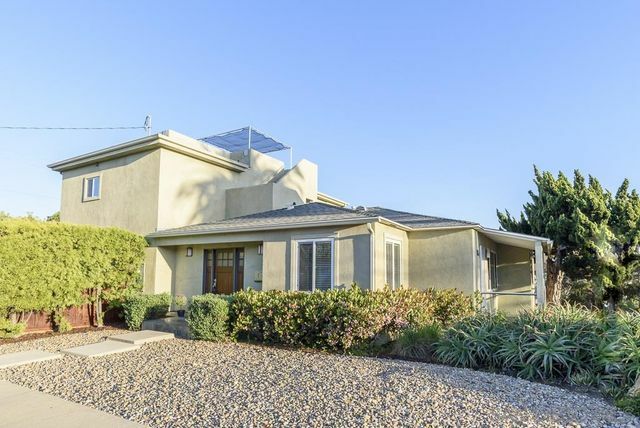 The light and bright interior has new, quality bamboo flooring throughout, gas fireplace in living room, dual pane sliding glass doors, remodeled bathrooms, new paint throughout (no acoustic ceilings), updated lighting, private courtyard and two patios. Privacy abounds with the gated courtyard is complete with raised bed garden – perfect for herbs and vegetables, plus room for a BBQ and outdoor dining. With no homes behind, the area views are wonderful. The first floor includes living room, dining room, kitchen and one full bedroom with French doors to the private courtyard and a full bathroom too. Lower floor includes the other two bedrooms and two more full bathrooms, plus storage. The garage has a newer roll-up door with automatic opener and loads of built in storage. The Fashion Hills complex is conveniently located minutes to the airport, downtown freeways and of course-Fashion Valley. Homeowner Association Amenities include pool with covered area, tennis courts, pickle ball court-all while keeping the fees very affordable. Royal, grand, and stately, this palatial waterfront landmark castle sits on the premier point location on Trinidad Island with tri-channel views and private boat dock while showcasing the finest in design materials. This iconic property was built to reflect the unique architecture of historic European castles and is being offered completely furnished subject to inventory list. Inside, discover the romantic energy and exceptional preserved details in a beautiful functional family home. The house exudes elegance and luxury, and has been completely upgraded with fixtures and furnishings installed by renowned designer Marc Pridmore, and the lush exterior landscape completed by Rogers Gardens. All new lighting, carpet, window treatments, automatic shades, and bed coverings have been updated and offer an authentic yet contemporary aesthetic for this expansive estate. With two master waterfront suites, (one up/one down), two added guest bedrooms with private baths, and an upstairs bonus/game room with massive wet bar featuring hand crafted wood ceilings along with ample outdoor space, this home is ideal for entertaining. Additional features include beautiful stone-walled wine tasting room and stunning master bath with sauna. This property features classic elegance and sweeping sunset and water views in a personal waterfront sanctuary. 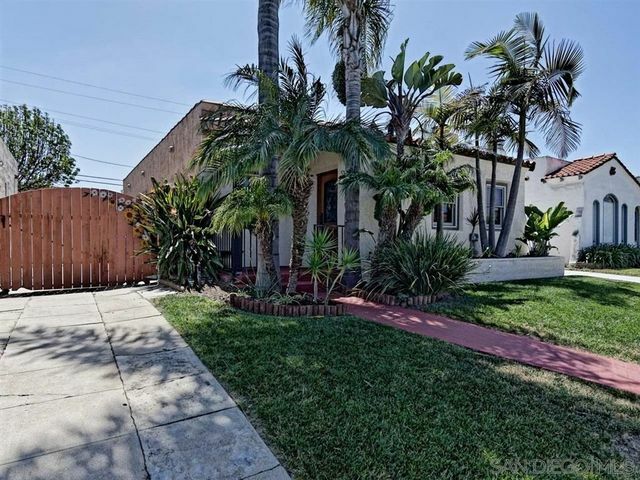 Long Beach Peninsula showcases a tranquil and serene energy walking distance to 2nd street. Seize this rare opportunity to own one of the Peninsula’s historic original beachfront homes. This property is one of 8 houses that survived the Hurricane of 1939. Where many washed away, this unique home withstood the storm remaining a beautiful part of Long Beach’s rich history. 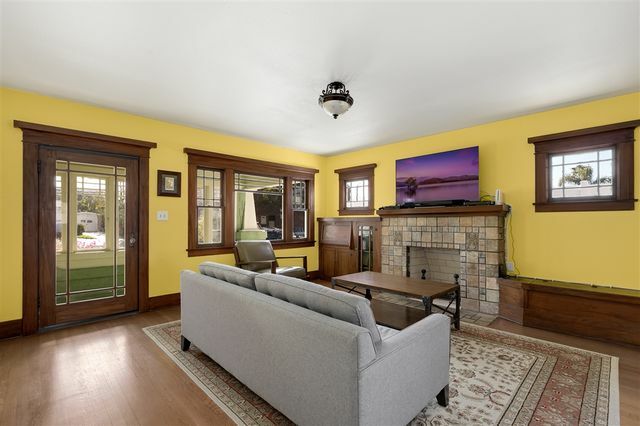 The home boasts four bedrooms, three full baths and a powder room, and has been modernized and upgraded inside, but has retained its authentic outer design and many of its original elements and fixtures, adding to the character and charm of the home. The upgrades to the interior include a remodeled and reconfigured kitchen, creating a large open concept flow through the dining and living rooms, with direct ocean views. The house boasts its own private enclosed beach frontage with decks on both the front and side yards. Upstairs features a master retreat with a fireplace, floor to ceiling windows with 180* views, en suite, and a private balcony. The 3rd floor showcases a large bright and open room with 250* views spanning from the ocean to the bay. The land is situated in a protected state park, which ensures it remains exclusive and private (no other buildings allowed). A grand, easy care family home. 5 Bedrooms, 6 baths and 4 car garage courtyard. All bedrooms are ensuite with a bedroom conveniently located on the first floor. Spacious kitchen opens to family room with wood burning fireplace. Master has adjacent sitting area and children's wing has 3 bedrooms and additional family area. Yard is an entertaining oasis - pool, waterslide, fire-pit. Your staycation paradise. Fully fenced yard with 10 fruit trees and raised vegetable beds. PAID SOLAR. Low Mello Roos. Get in to Hillcrest Palms condo community while you can! 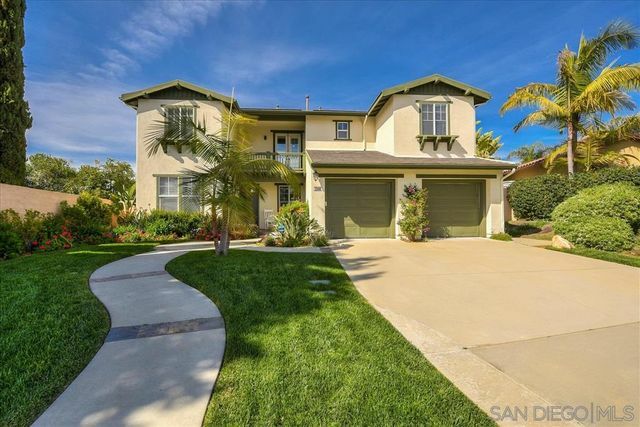 Excellent location in Hillcrest to all that the neighborhood and San Diego has to offer. Updated 1 bedroom condo on bldg east side, includes newer kitchen with stainless steel appliances incl DW, granite countertops. Laundry on ea floor. 4th floor BBQ/sundeck. Comes w/gated underground parking spot (#133). Webpass building! 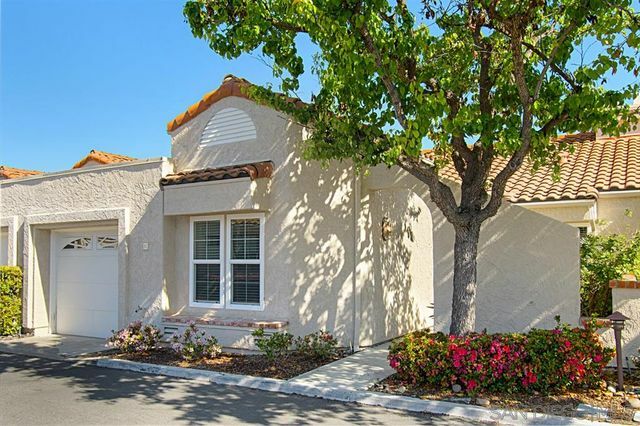 Charming 2B/2B condo with 2 car garage in Rancho Bernardo. Open and spacious floor plan full of natural lights. Kitchen features granite counter top with stainless steel appliances. Updated copper plumbing pipes. A large balcony with storage. End unit with beautiful view and privacy. Complex amenities include pool, spa & workout room; with membership to the Bernardo Heights Rec. Center. HOA's include: cable, HBO, Showtime, water and trash. Conveniently located near shopping and I-15. Rarely available Sail Bay condo! Spectacular views of the bay with building located right on the sand! This unit has been completely updated and well taken care of. Lots of storage and plenty of parking with 2 large tandem parking spaces and storage closet. Features include updated kitchen with granite countertops, updated appliances, island in kitchen, plantation shutters, new paint and flooring, and raised coffered ceilings with crown molding. Bring your shovel and volley ball and live on the bay! 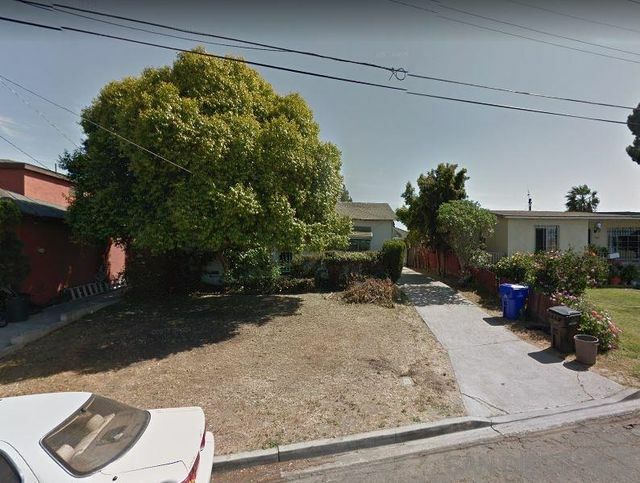 Seller will entertain offers between $800,000 to $859,00. Only $193 to $207 per sqft & save $300+ a month with seller owned solar.! ....Located on a cul-de-sac, this spacious home is located in the gated community of Laurel Pointe. Picturesque views from the front yard. Guest suite downstairs; remaining bedrooms up. Gourmet kitchen, butler pantry, nook and an over-sized kitchen island, make this the perfect house for entertaining. Large master suite features a huge closet and a spa like shower. 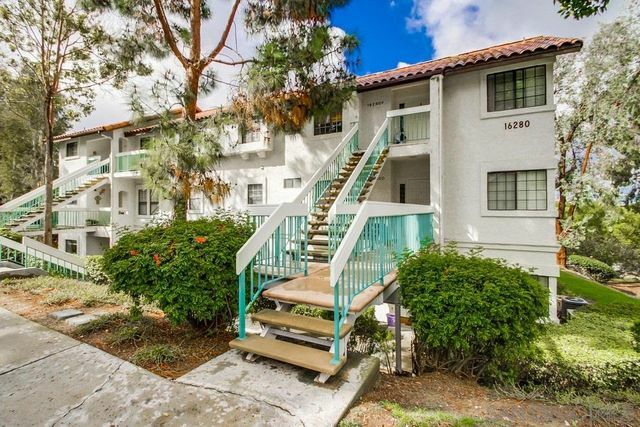 Do you want to be near everything North Park has to offer? Are you looking for a VA APPROVED building? Or are you looking for a beautiful & spacious END unit condo with all the necessities? This 2bedroom 2bath condo provides all of those and MORE! Features Crown Moldings, Granite Counter Tops, Bamboo Flooring, Induction Range, Newly Painted/Seal Patio Deck and IN Unit Laundry. OH... can't forget to mention, the WALK IN CLOSET!! This is more than just a condo unit, it’s a special place you can call HOME. Location Location Location! 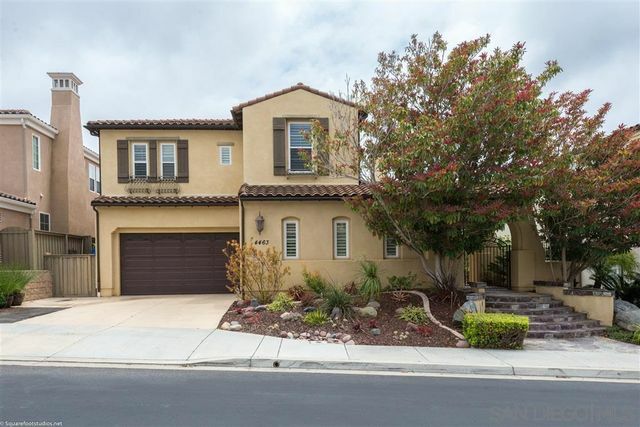 Meticulously maintained by original owner, this Stunning 4 bedroom (one on first level w/ ensuite & separate entrance) is located on single loaded private cul de sac adjacent to Carlsbad trails. Stone exterior & nostalgic front porch welcome you home~ Beautiful kitchen cabinetry with granite counters, island seating, professional appliances including built-in refrigerator, double oven, warming drawer, 6 burner stove & Bosch dishwasher. Step inside~ Welcome Home. See Supp. Tucked away down a two lane country road is the private, gated community of Torrey Woods Estates. 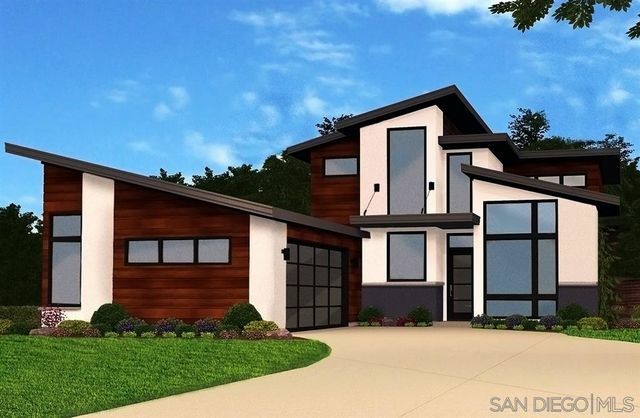 This Plan Three has Five Bedrooms with en suite bathrooms plus Office in 4,327sf. 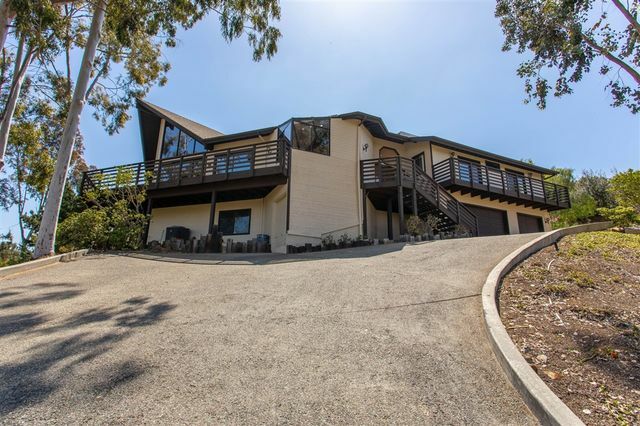 Located on the Los Penasquitos Canyon Preserve, it is minutes from major freeways but extremely secluded. Gourmet Kitchen, Wood Floors, Custom Master Bathroom and Three Car Garage. Professional Low-Maintenance Landscaping. Only three miles to the Ocean, Beach and Torrey Pines Reserve. 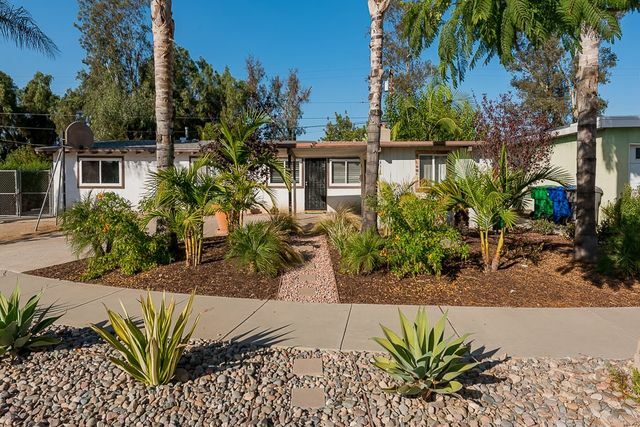 In the Heart of North Park and the best of all that it offers this Spanish mid- century home is a Must See! Brilliant stone flooring,wood beamed ceilings & elegant archways.Light filled open living room & large dining area with gorgeous built in's. Kitchen features granite counters,chefs island,ample counter & cabinet space. French doors open to large deck and entertainers backyard. Custom slate tile bathroom. Easily add second bath off of master br. Detached 2 car garage has huge Granny Flat potential. Looking for a turnkey 4 BR/3 BA home? You've found it! Built in 2016, this open concept home is the perfect setting for friends & family to congregate. Gorgeous high end finishes compliment the inviting environment, and the abundance of windows and doors will lure you out to the backyard gas fire pit and covered patio. The entire backyard has "Calif. Pro" Artificial Turf professionally installed, as well as lovely drought resistant landscaping & miniature fruit trees. Over-sized 2 car garage too! La Mesa Village! Listed BELOW appraised value! 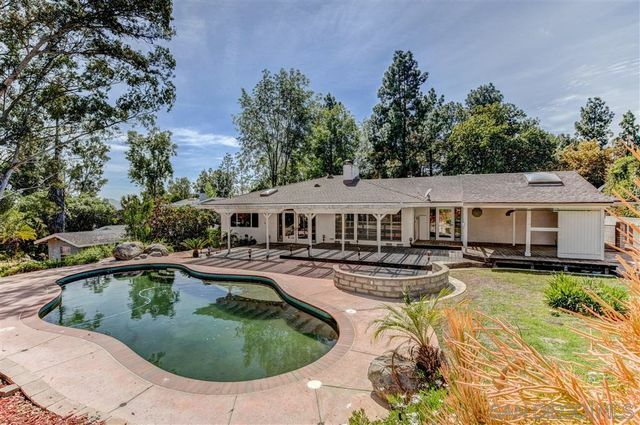 Large welcoming Living Room w/enlarged windows letting the natural light in, & views of Mt. Helix! Spacious kitchen w/SS appliances, tile backsplash, ample cabinet & counter space, designer lighting above the kitchenette&newly upholstered banquet seating! Master bedrm has double closets, storage&awesome slider to private patio! 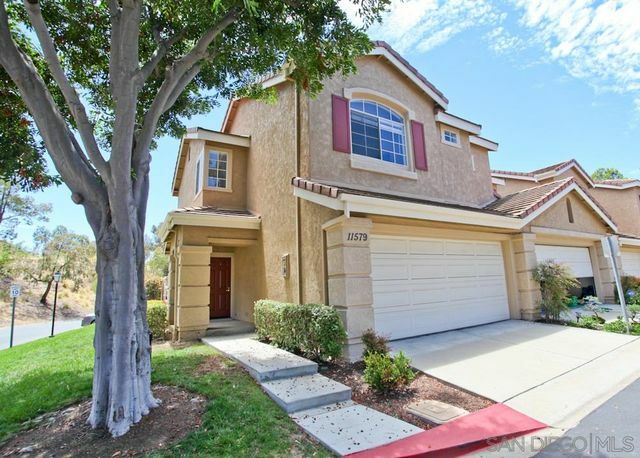 HUGE 4th bedroom w/private entrance above the garage with an impressive closet! The backyard is AMAZING! Please look at the 3D tour. Situated on a corner lot in the coveted Winding Walk Community, this home boasts a custom entertainment system w/ ceiling speakers, hardwood floors, a/c, new paint, security system & a beautifully landscaped side & backyard with pergolas that create a great flow for entertaining. 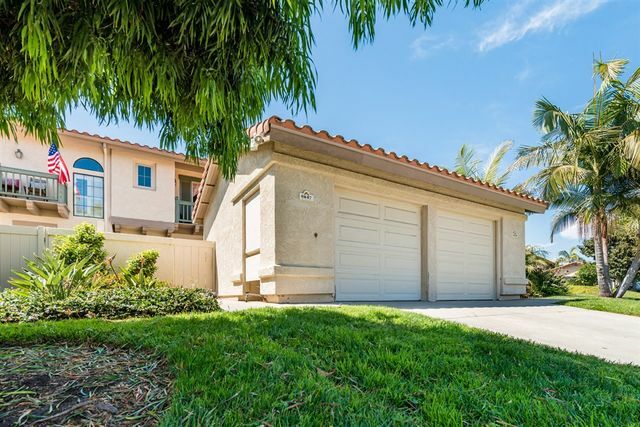 Bright, open floor plan with granite counter tops, double ovens, and SS appliances in the kitchen and a master suite w/ large tub & dual closets & sinks. 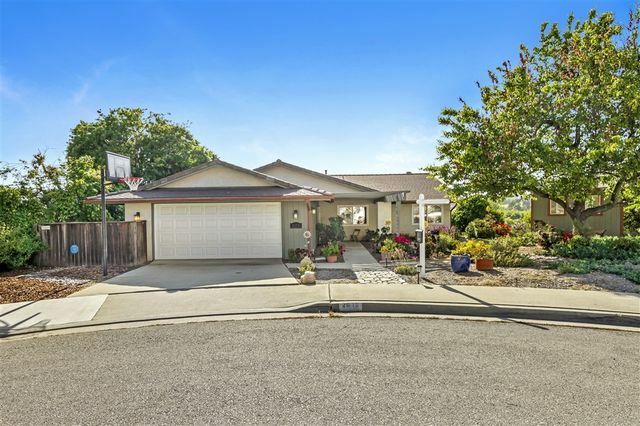 Short stroll to the community park, pools, spa, gym, & elementary school. 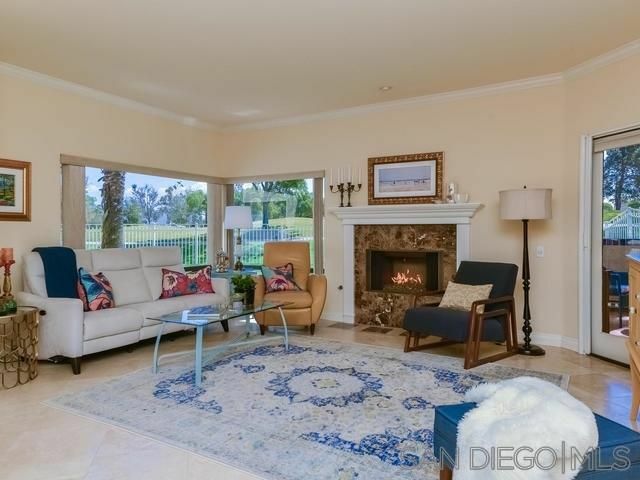 Beautifully restored NorthPark Spanish Revival w/ NEW CONSTRUCTION master suite! Rare large lot has alley access & room to build an ADU! Located on a wide, quiet street in heart of NorthPark, walking distance to amazing restaurants, breweries, coffee shops. Luxurious master suite features huge walk-in-closet, his/hers showers & french doors opening to back deck. Open concept kitchen boasts 8ft island w/ dual-powered downdraft range. New Oak floors, Carrara Quartz & Art Deco tile designs shine! Exquisite estate with endless views! 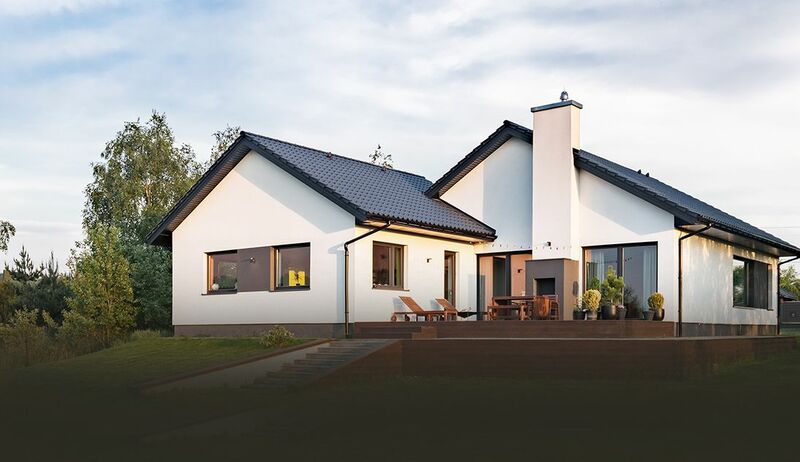 This SOLAR powered home with a grand entryway welcomes you into luxury living. Featuring a gourmet kitchen with high end appliances, expansive living areas & your own private oasis. The backyard boasts panoramic views from a spacious deck, gorgeous disappearing edge pool & spa, putting green & cabana with full bath. Elegant master retreat with stone fireplace & private balcony with views over the backyard. Large bonus room currently used as a media/game room. See supp. 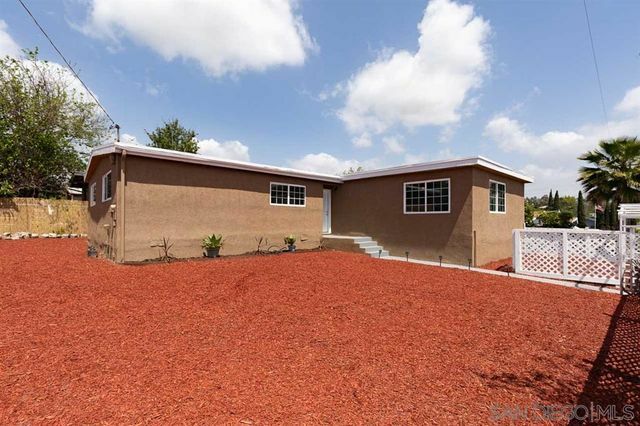 You will love this delightful 3-bedroom, 2-bathroom ranch home with great curb appeal. This home has ample parking space for all your vehicles and space for an RV. 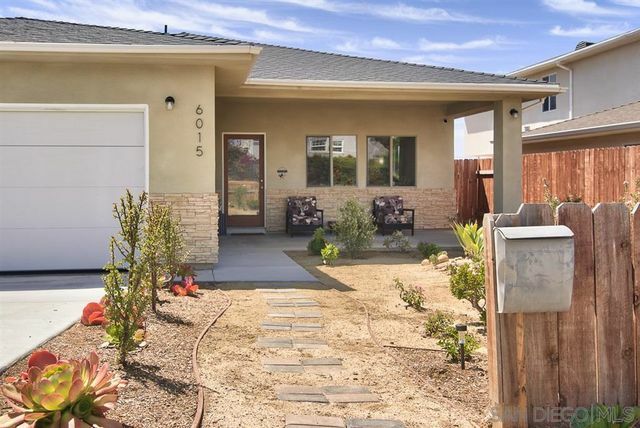 Enjoy the beautifully drought tolerant landscaping in front and in the spacious private backyard. The home also features high vaulted ceilings with gorgeous wood beams in the living room, a cozy fireplace, dual pane windows and solar. Detached unit needs updating has potential as a rental. Beautiful Move-In ready Home. Kitchen has recently been renovated. Beautiful laminate wood flooring. Two car garage!! Owner has taken pride in this Home. 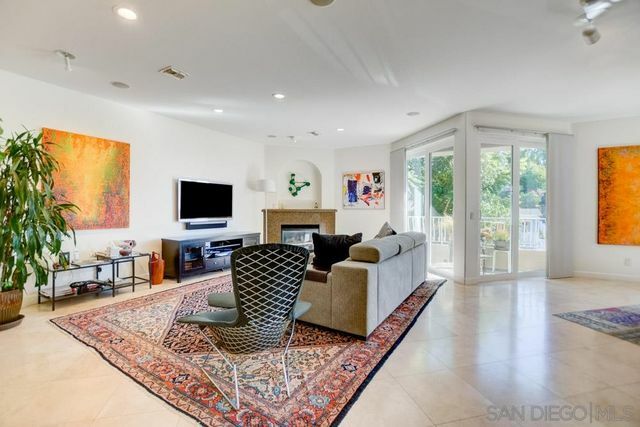 Gorgeous River Colony residence centrally located in the heart of Mission Valley. Nicely upgraded granite countertop kitchen with premium porcelain tiles and stainless steel appliances, open to the living area. Fireplace in the living room, in-unit laundry. New paint throughout, new carpet in the bedroom. The bathroom has lots of storage while the bedroom has bay windows and a walk-in closet. Enjoy the spectacular resort style pool, hot spa, fitness center and recreation room. BEAUTIFULLY REMODELED HOME IN ALPINE AND THIS ONE IS LOADED INCLUDING, ANDERSON WINDOWS AND SLIDERS, AWESOME EAT IN KITCHEN WITH GRANITE COUNTER TOPS AND NEWER CABINETS, UPGRADED BATHROOMS WITH NEW TILE AND VANITY'S, LARGE FAMILY ROOM WITH FIRE PLACE, EXPOSED WOOD CEILINGS, CEILING FANS THROUGHOUT,LAMINATE FLOORING, CROWN MOLDINGS, NEWER ROOF, POOL, HUGE USABLE 1 ACRE PLUS LOT WITH GORGEOUS VIEWS, TONS OF PRIVACY, 2 WELLS AND MUCH MORE. Welcome to this beautiful upgraded home in the Whelan Ranch Community. 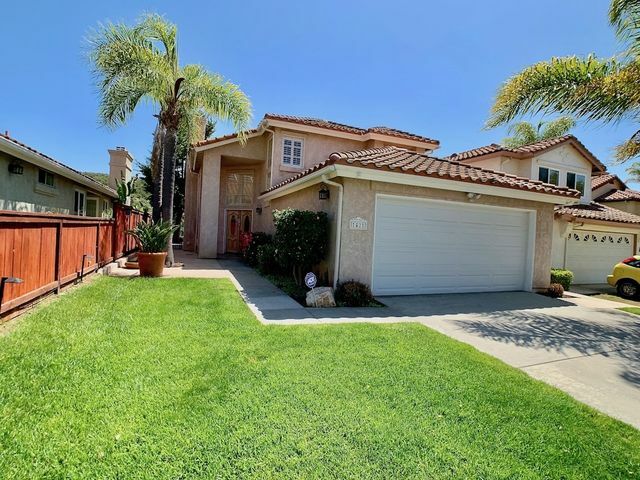 Spacious open floor plan with new laminate floors, carpet, a fantastic kitchen, stainless appliances, 2 BA w/elegant vanities/counters, grand family room & eating area. Direct access to garage from laundry room, plenty of extra storage. Private fenced patio perfect for entertaining, A/C. Premium reserved parking space! Playground and community pool/spa. Great location! Nearby Hwy 78 SR 76 i5 Camp Pendleton. Turn-Key, A Must see! Hurry! 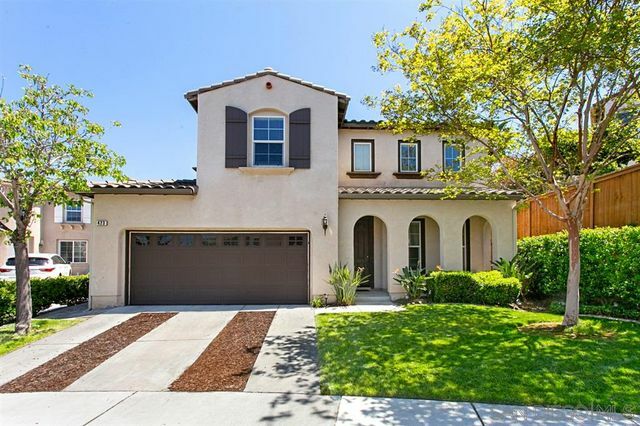 Don't miss this custom built estate located in the most desirable part of Vista! Priced to sell this home features an amazing curb appeal upon entering the long driveway. 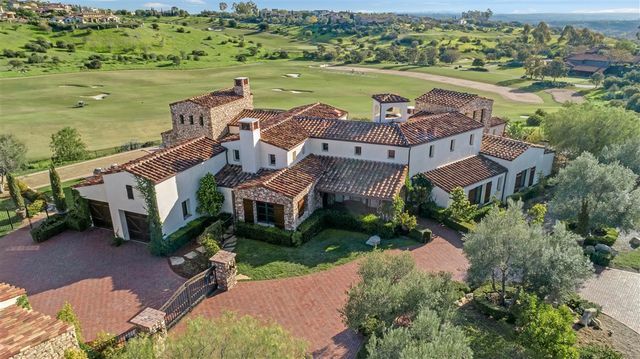 This amazing estate, situated on over an acre, sits atop the surrounding homes and has sweeping views of the foothills and peekaboo ocean views. 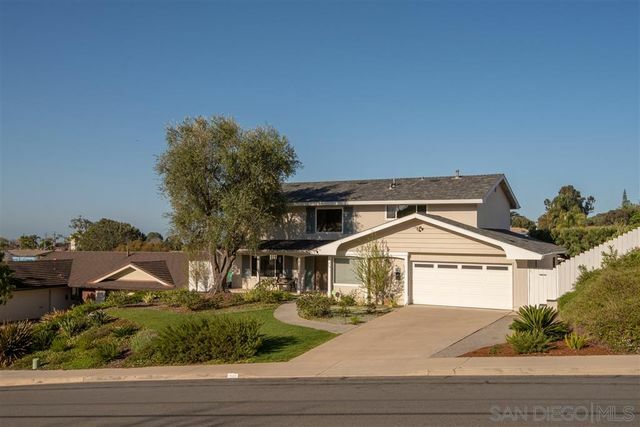 With plenty of space to stretch out, this home provides a sense of serenity and peace only found in the Buena Creek portion of Vista. Don't miss your opportunity to make it your own. 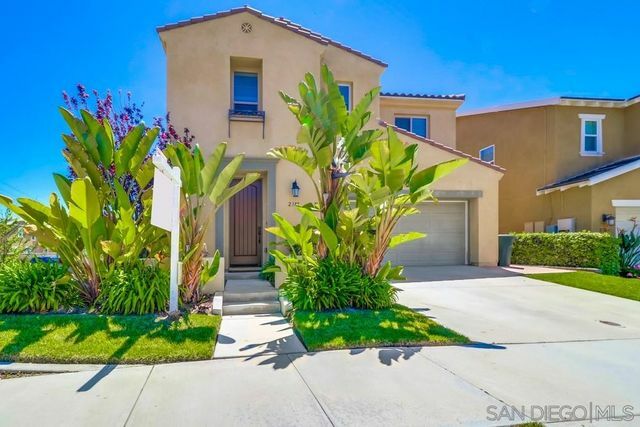 The perfect south Carlsbad home. 4 Bed, 3 Full Baths, + Loft, and 3 car garage. 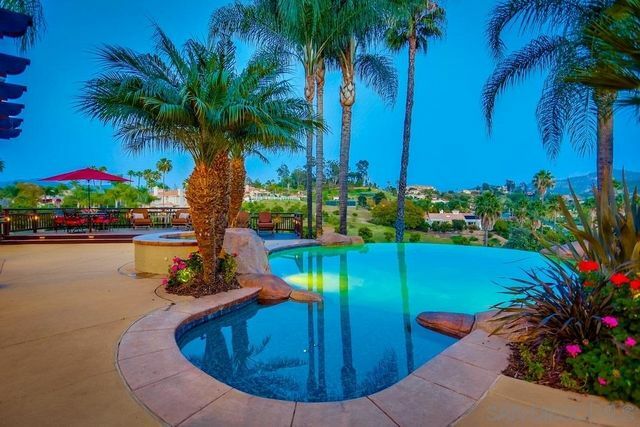 Amazing oasis backyard with salt water pool, jacuzzi, and putting green. Upgraded throughout with gourmet kitchen, oversized island and Viking appliances opening up into a great room. Recently installed solar power system and battery. Upgraded lighting. Spa like Master suite. His & Hers walk-in closets. Plantation shutters & crown molding. 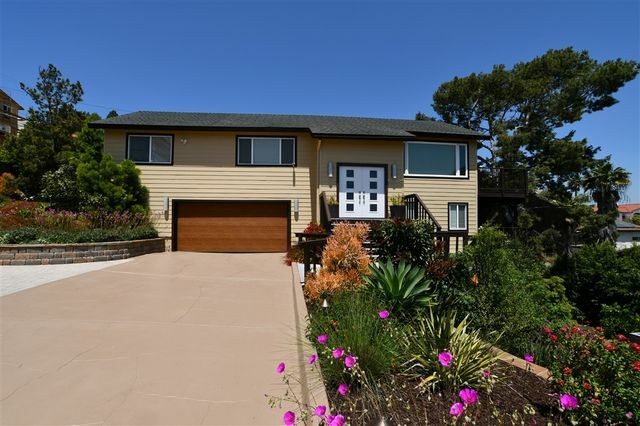 Great neighborhood, A+ Schools, 5 min to beach, 3 min to freeway. This authentic 1920's craftsman home is located north of Adams on a private & spacious lot! From the inviting glassed-in front patio, to the landscaped backyard, you will love all this home has to offer: Original hardwood floors, amazing natural light, gorgeous wood framed windows, restored Batch-elder fireplace, & a completely updated bathroom with a deep soaking tub & custom tile flooring. The kitchen features the most lovely arch framed nook. Enjoy multiple outdoor spaces! Great location near it all! 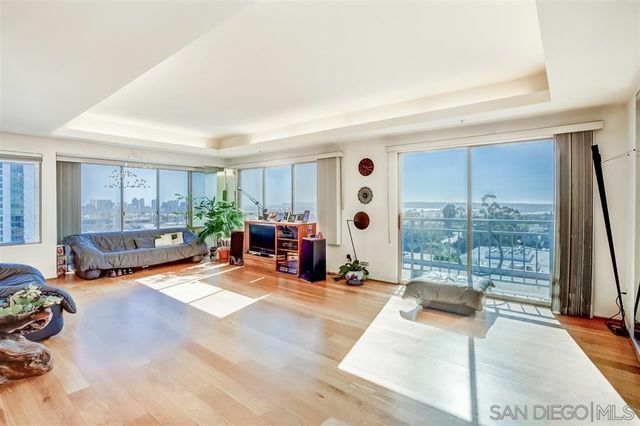 Rare opportunity to own this southwest-facing corner 2 bed /2 bath 1,366 sq ft suite on the 8th floor of Park West with panoramic views of San Diego Bay, Downtown, Point Loma and Balboa Park. 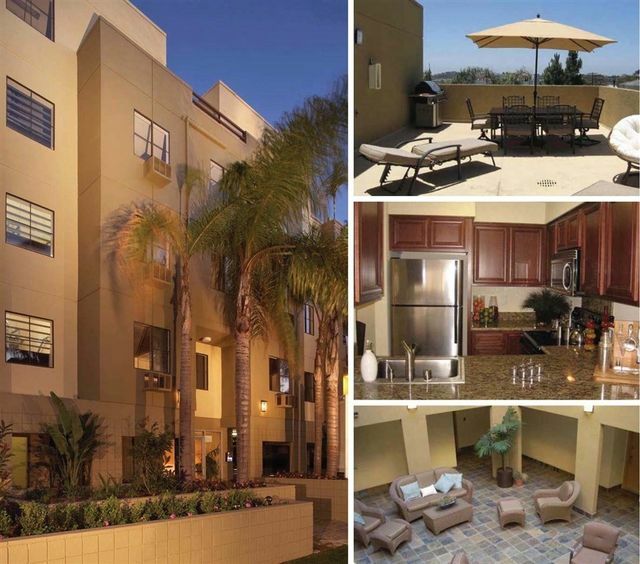 Enjoy the beautiful sunsets, cross the street to Balboa Park and walk to coffee shops, restaurants and bars with ease. 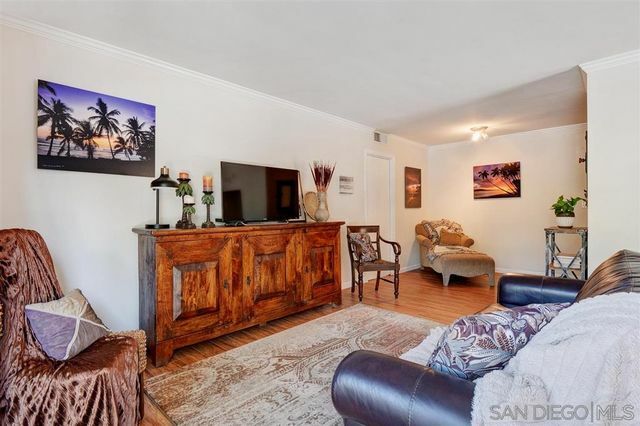 With an oversized master suite, in-unit laundry, and 2 side-by-side underground parking spots, this is a great opportunity to own a home in the quickly expanding area of Bankers Hill. Remodeled home that has it all & will not disappoint! Master Bedroom with amazing walk in closet complete with chandelier! Gorgeous Chef's kitchen open to Dining Area, inviting Living Rm with fireplace, plus a Bonus Rm next to the sparkling pool & Hot tub! Owned Solar for house and pool with transferable warranties! RV or boat parking spot alongside house plus another one inside opening gate going to backyard! New Roof in 2018 with transferable 50 year warranty! Great home for entertaining! 1 blk to park! 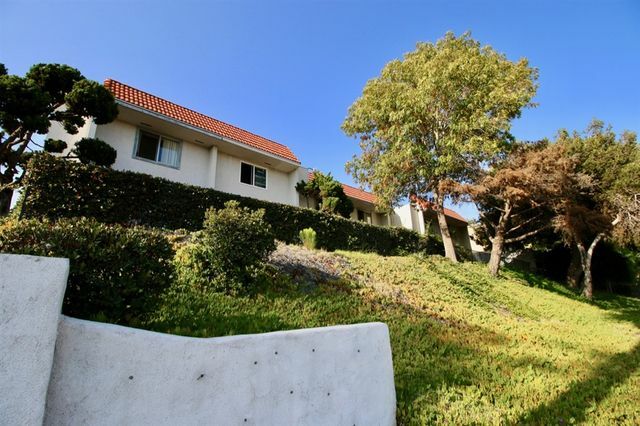 Panoramic views with a blank canvas situated in one of the most desirable areas of Mission Hills. Sit down views from downtown, the bay, Coronado Islands, to Point Loma. A tremendous bonus room with over 700 sqft adds to this amazing home with living spaces all on one level. 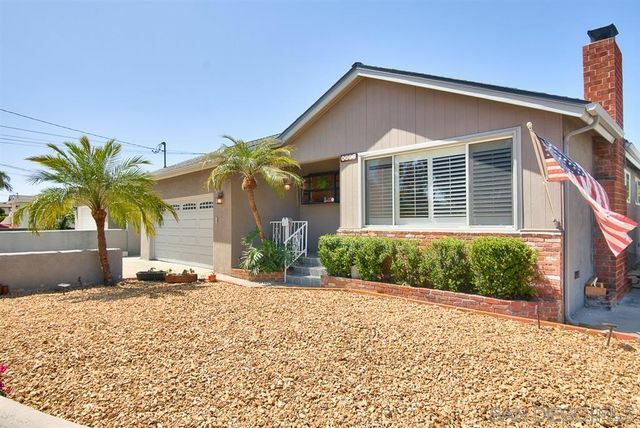 Perfect mid century build with great bones, and hardwood under the carpets in living room and bedrooms. Oversize two car garage with plenty of storage! 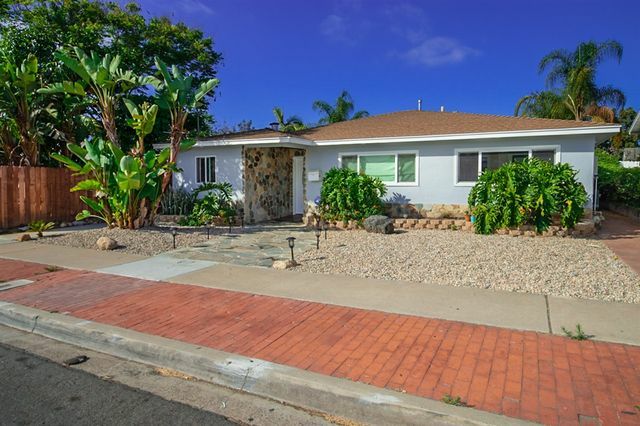 Wonderful 4 bedroom, 2 bath property in South San Diego. Ocean and city views with plenty of natural sunlight. Beautiful flooring throughout with backyard space for relaxing and entertaining. Easy access to major transportation routes. Beautifully maintained 3 BR/ 2.5 Bath/ 2 Car garage/ 2 Story home with soaring ceiling in the entry and formal living. Family Rm, breakfast area , kitchen and Formal Dinning Rm. Designer paint throughout. Fully upgraded Kitchen with Hardwood Cabinets ( Cinnamon), Granite counter top with a large peninsula. Fairly new Stainless Steel Appliances. Just Remodeled Master bath with en-suite bathroom, dual sinks and walk-in closet, large tub w/separate shower.All Laminate flooring, Tiles in Bathrooms. This beautiful move-in ready condo is located at the rear of the complex providing a quiet and private setting. The open floor plan is filled with natural light and has a spacious kitchen and living room with a door leading out to a large balcony. The kitchen has stainless appliances and granite counter tops. The home included in-unit laundry, very good storage and an assigned spot in secured underground parking. Stunning & bright! This 2148 Sqft, 4 bedroom, 3 bathroom home with the sort after ground floor bedroom/office and full bath will not be on the market for long. This home boasts high ceilings, open plan layout, large master suite, two further bedrooms with Jack and Jill bathroom, finished 2 car garage, immaculate grounds with mature planting, waterfall, beautiful sitting area, cul de sac location, walking distance to Dingman Elementary and convenient for I15, shopping and restaurants. Wonderful community. Available June 1st. 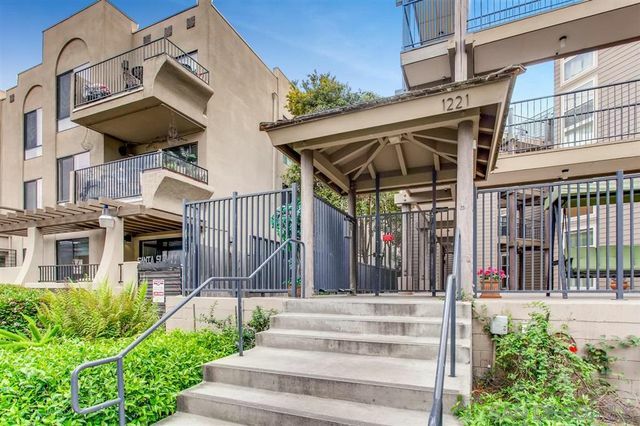 Spacious 2 BD/ 2 BA w/ balcony in gated building. Available june 1st. Quiet location. Walk to many downtown amenities. Full washer and dryer. A/C, Fireplace. No pets, no smoking. Living room dining room combo. Kitchen and baths have granite counters. Good amount storage. Perfect for roommate share situation. One underground garage space and some street parking available. Security deposit $2200. 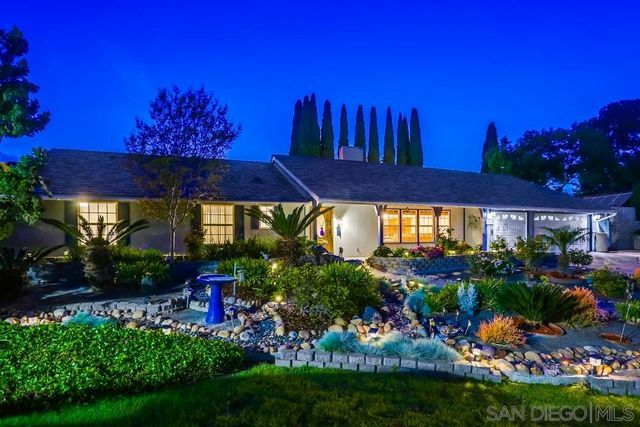 Midcentury Ranch home nestled on the edge of a canyon w/ westward facing views to enjoy those perfect San Diego sunsets. Located at the end of a cul-de-sac, this .25 acre lot home was remodeled by HGTV's Yard Crashers! Zeroscape front yard, backyard bar w/ wood composite deck & fenced canyon area for your expanded garden or city farm. Inside, you will find all of today's modern needs w/ an updated kitchen, reverse osmosis system & Rachio smart sprinkler controller. New Int/Ext paint & new flooring. 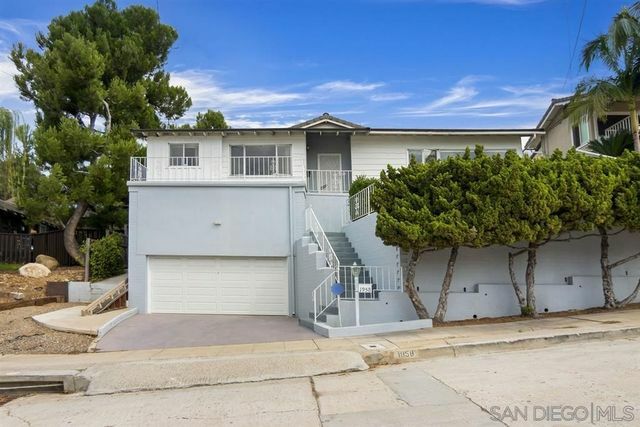 Welcome to this warm and inviting 3 bed, 3 bath 2,200 sq ft home with views of the bay! 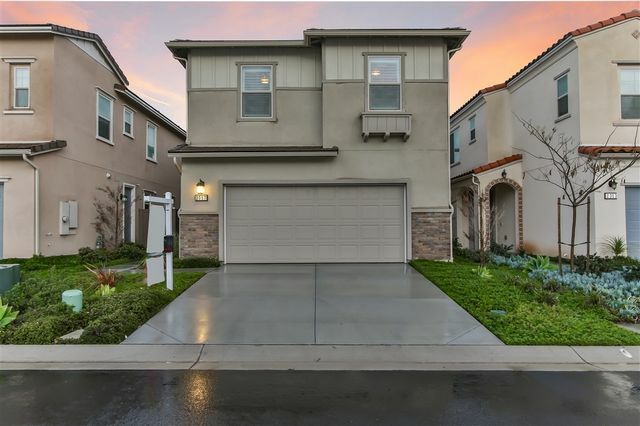 This open floor plan row home features a gourmet style kitchen with premium appliances, upgraded bathrooms, surround sound throughout, two car attached garage, and abundance of storage. Large bedrooms, and a spacious master suite with patio for morning coffee. The expansive courtyard is perfect for entertaining, and no HOAs fees! Easy access and great location with restaurants, retail, and coffee within a few blocks! Offered between $999,000 and $1,030,000. This impeccably maintained 4br/3bath home rests on one of the largest lots for this price points. This spacious home boasts a desirable floor plan with a full bed/bath on the first floor, a formal dining area and family room with fireplace. 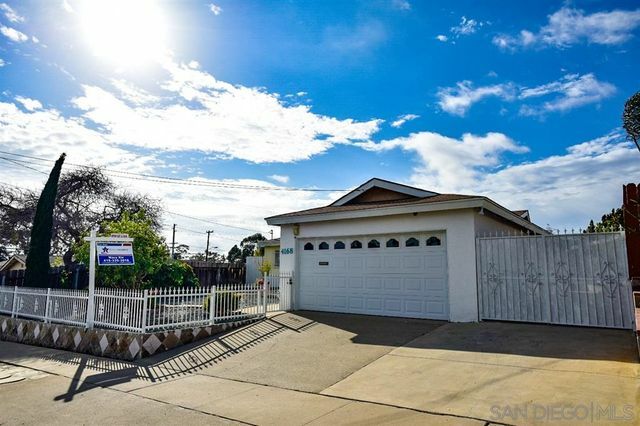 Features include a like-new upstairs Berber carpet, an over-sized 2 car garage, a beautiful walk-out private backyard garden patio, front yard, upgraded wood flooring and a few blocks walk to Del Sur schools in PUSD. Amazing opportunity to build your dream home. 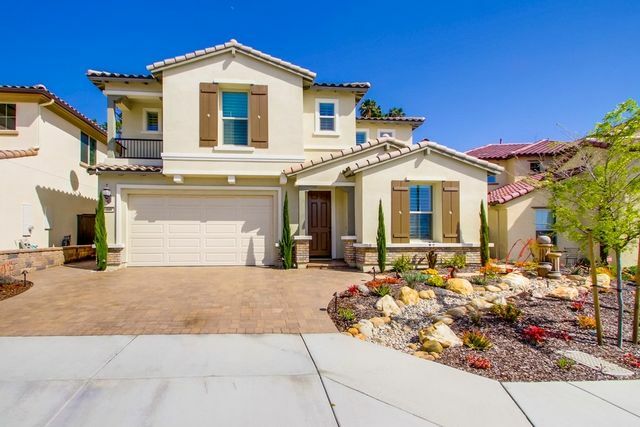 Located in Alvarado Estates a gated community adjacent to Talmadge and Kensington. This 16,000+ Sqft lot has the ideal topography and placement to make something truly special. Located at the end of a privet street. This land has magnificent views and sunsets from all locations! Do not miss this once in a life time potential. Great townhome just minutes to the beach! Amazing opportunity to make this your own, as it's a perfect starter home or investment property. Needs some TLC. 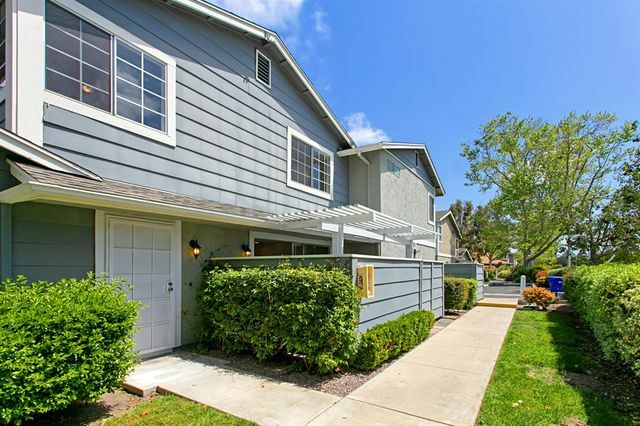 Features include: private courtyard entry, open floorplan, master suite with private balcony & walk-in closet, living room with fireplace, private back patio, 1 car garage, prime location walking distance to Pacific Rim Elementary & near multiple shopping centers, parks/hiking & transit. Complex features: 2 pools & hot tubs, basketball & tennis courts. Beautifully maintained light and bright home located on the interior side of Blackhorse complex. 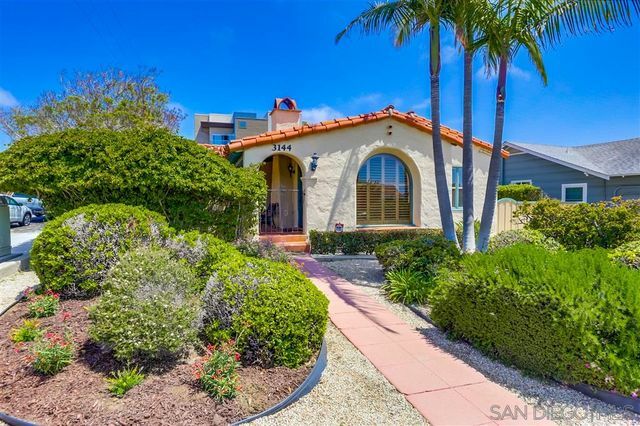 Easy access to freeways, beaches, restaurants and UCSD. Welcome to this updated home located on a quiet street with an open floor plan that is perfect for families and entertaining! Features include an upgraded kitchen, custom window shutters, large master bedroom with walk-in closet, and a bonus room with a private entrance that is perfect for an office, playroom or in-law suite. 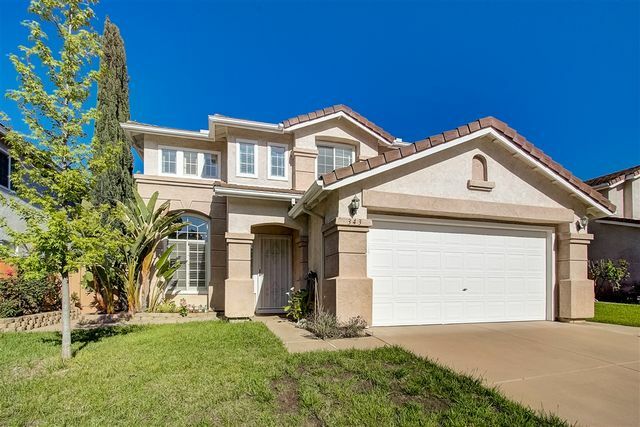 The home is close to shopping, schools, and has easy freeway access. 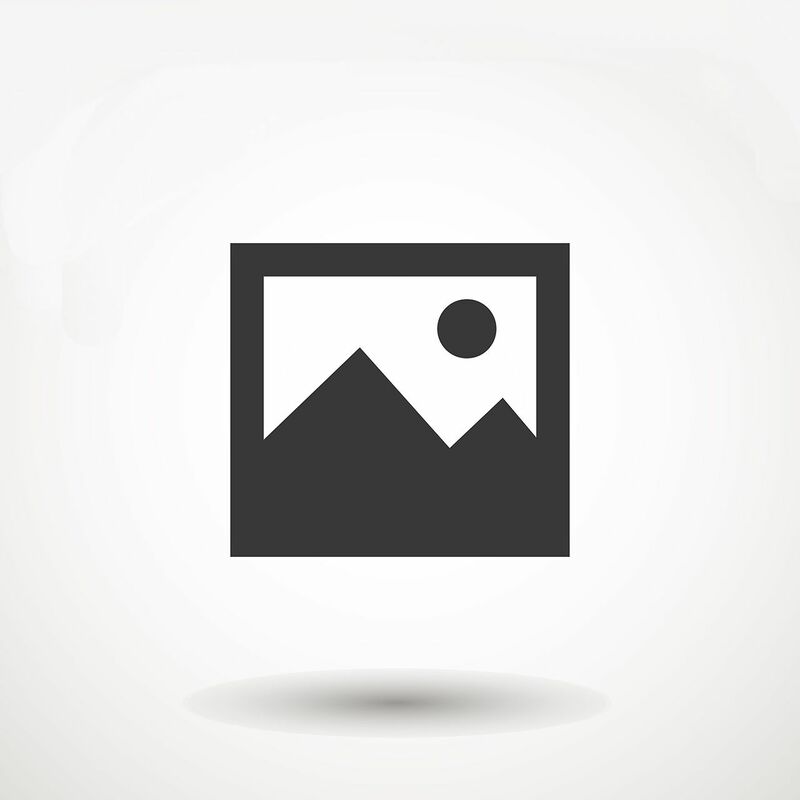 Enjoy picturesque views of Mt Helix from backyard. 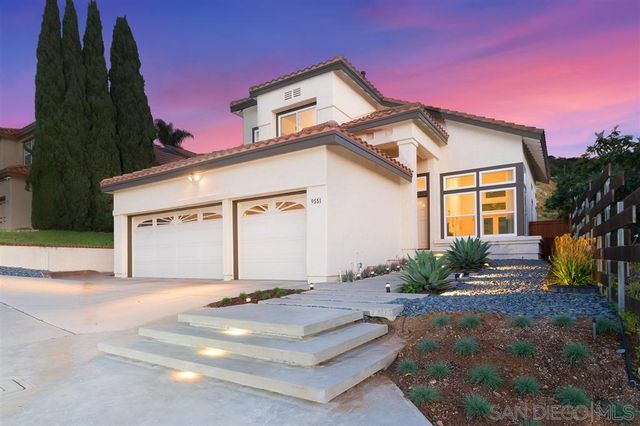 Welcome to this fully remodeled Mountain Street home. Wine & dine friends and family in the expansive backyard redesigned to offer a fully covered patio with lounge area and a table area for eating. The pool offers refreshing afternoons and privacy. Kitchen & baths have been fully upgraded with soft close cabinetry & fine finishes. New wood tile floors & stylish paint. Custom archways lead to all areas of the home off living room. Contemporary & large master bath with dual sinks and walk-in rain shower. Once in a life time opportunity! 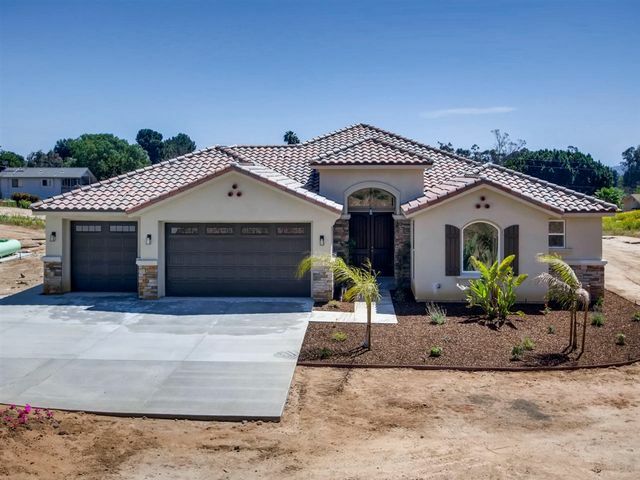 This soon to be 3,100 Sq Ft, 3 bed, 3 bath home will truly be Alvarado Estates newest beauty. 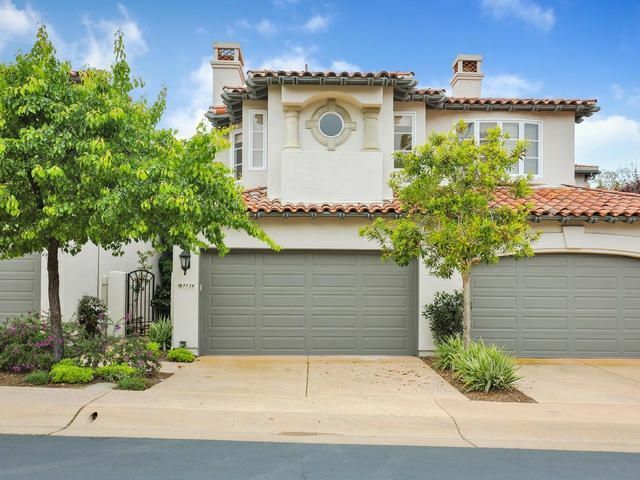 Enjoy this estate located in this highly sought-after gated community, adjacent to Talmadge and Kensington. This 16,000+ Sqft lot has an ideal topography and placement to make something truly special. Located at the end of a privet street. This lot has magnificent views and sunsets from all locations! Currently pre-selling this single detached home. 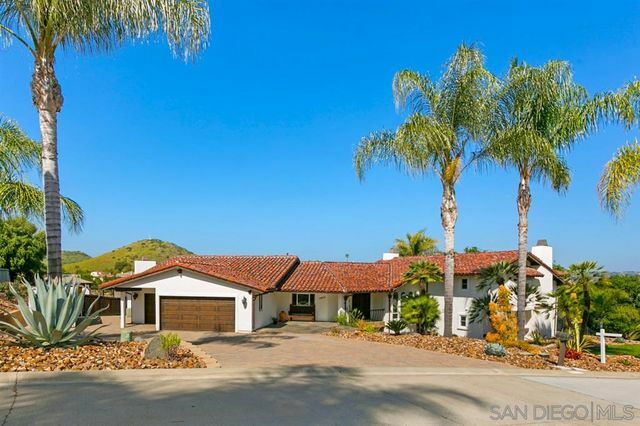 Stylishly remodeled single story villa in the desired Las Brisas neighborhood of Bernardo Heights in Rancho Bernardo. This lovely home offers SPA inspired Master Bath and a large Master Bedroom. Open floor plan has a spacious living room has a high ceiling and a wonderful fireplace. Beautifully remodeled kitchen is next to a dining area that opens into the back yard. 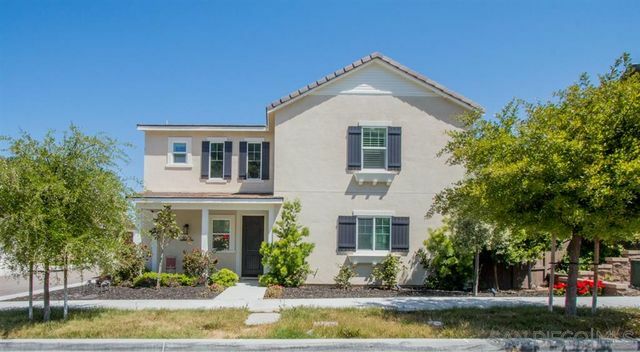 This quite neighborhood is just minutes from shopping centers, award winning restaurants and PUSD schools. 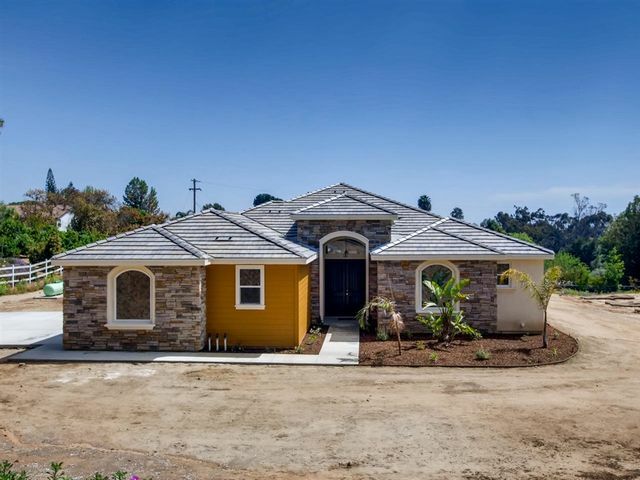 Stunning single story home, NEW construction, situated on usable 1ac lot in the heart of Fallbrook. This open concept home makes it easy to enjoy indoor/outdoor living. 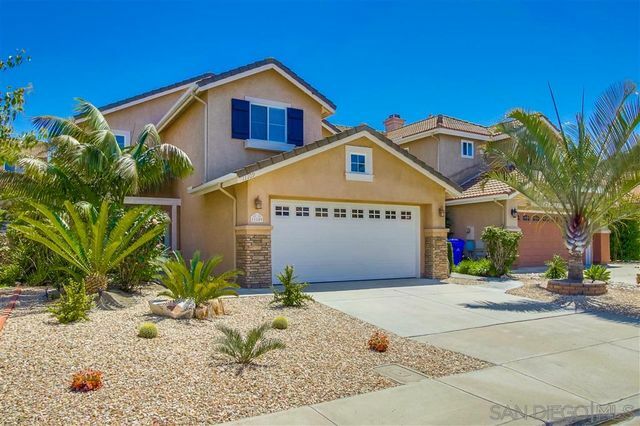 Tons of natural light, gorgeous upgrades throughout and a gourmet kitchen. Features include island seating, stainless steel appliances, walk-in pantry and view of the living area, perfect for entertaining! Lavish master with en-suite boasts dual vanities, spa tub, frameless glass walk-in shower, large walk-in closet and backyard access. 3Br, 2Ba, 1006 esf Single Level on cul-de-sac w/greenbelt on one side. Kitchen w/granite counters, SS appliances & custom lighting. Private yard great for relaxing & entertaining w/tropical bearing fruit trees. HOA maintains front yard. Community pool & greenbelts in addition to numerous walking paths. Close to the 78, shopping & schools. This Single Level will not last! Welcome home. 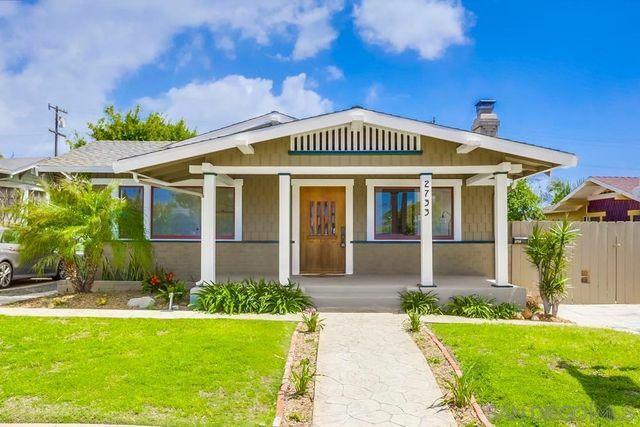 Captivating Restored Craftsman in the heart of North Park w/ Fully Permitted Detached Granny Flat. Beautifully revived to maintain its charm, with original fireplace, woodwork & builtins throughout. Stainless appliances, ceiling fans, oversized enclosed patio for entertaining & plenty of parking w/ extra long driveway & detached 1 car garage. Parking off alley for back unit. Private yard for each, W/D hookups in main house & dual W/D unit installed in back unit. Close to parks, cafes, breweries and more.. 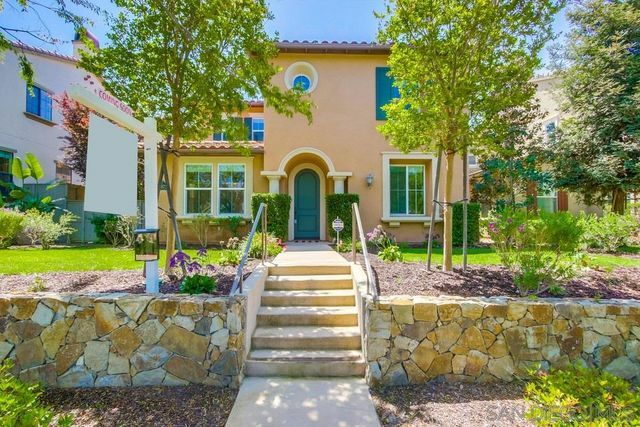 Welcome home to this stunning Canteridge home in the master planned Harmony Grove Village! Farmhouse styled community boasts private parks, trails, Rec center w/ fireplace, pool/spa, kids wadding pool, BBQ's, basketball courts & Social Community with many events! Home features covered front porch, formal entry & spacious great room leading out to backyard. All bedrooms upstairs, over sized Master with walk-in closet & upgraded baths. Laundry room upstairs with extra storage. Low Mello-Roos! $599k-$619k. 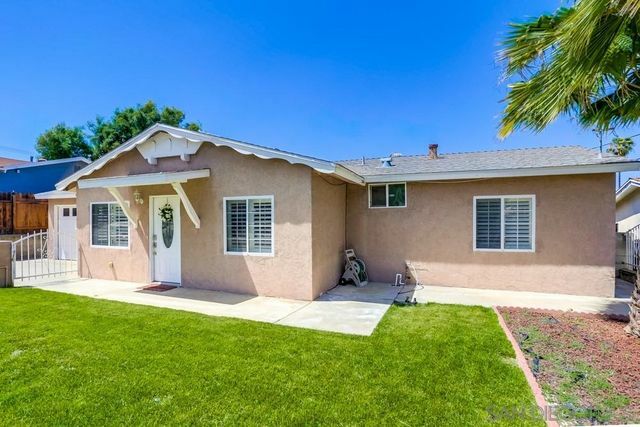 Beautifully remodeled 4 bedroom home in La Costa Knolls. Wide open floor plan that is flooded with light. New flooring, paint, windows, fixtures, counters & appliances. Kitchen and all bathrooms have been remodeled too. Large pool sized private yard with mature trees. Three car garage and A/C. 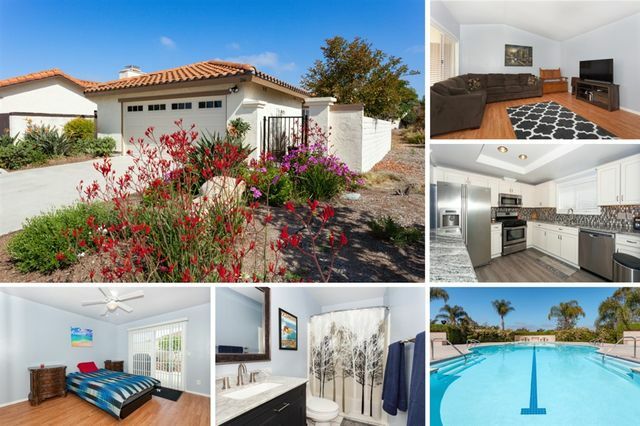 Located in the Encinitas and Dieguito school districts. 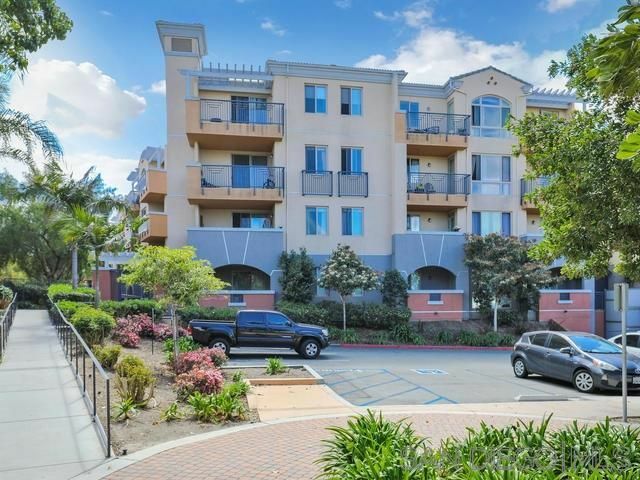 Walk to great shops, grocery & restaurants in the La Costa Town Center. Close to beaches! Must see, you won't be disappointed. VIEWS OUT EVERY SINGLE WINDOW - INCLUDING INCREDIBLE CANYON IN BACKYARD. SOLAR. SUNSETS. HOT AIR BALLOONS. GATED. CUL DE SAC. WOOD FLOORS. 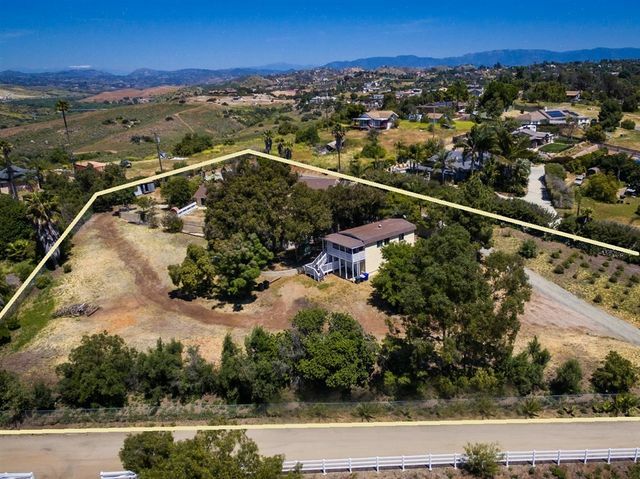 Bottom line - you can't replicate this home at this price with this view and yard anywhere in Poway Unified School District. 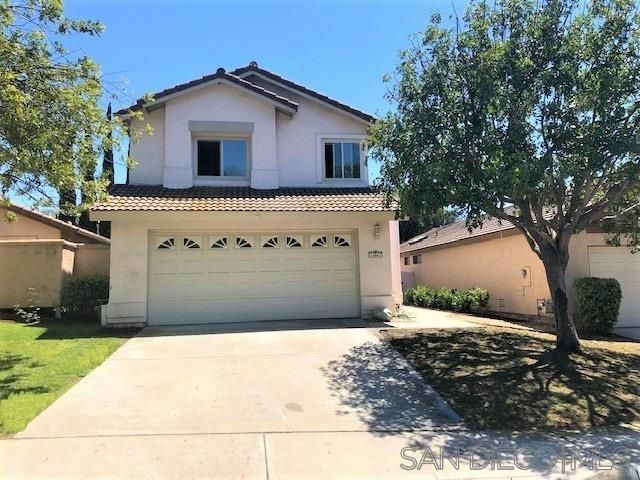 This is such a special, quaint neighborhood - with schools, parks & shopping so close along with the safety/comfort of the gate & amazing cul de sac location. 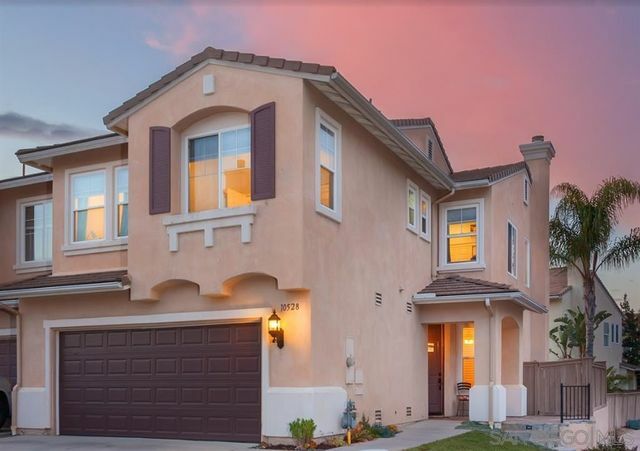 Come find your piece of the Southern California dream in Torrey Ranch. RUN! 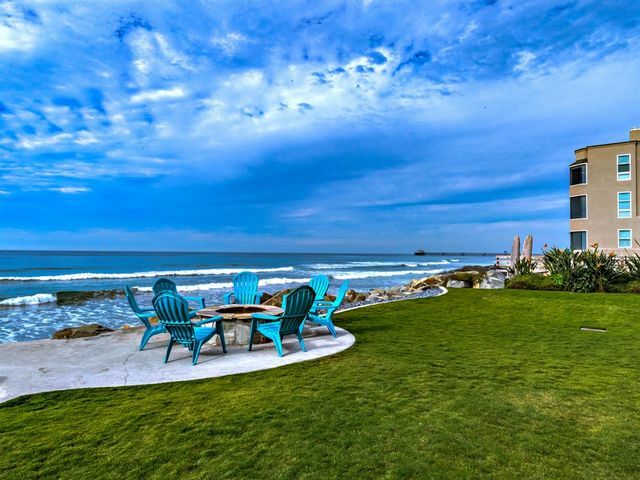 GORGEOUS LUXURY ON 100" OF OCEANFRONT ENJOY BREATHTAKING OCEAN VIEWS AND REFRESHING OCEAN BREEZES FROM ALMOST EVERY ROOM IN THIS AMAZING VILLA. 45 FEET OF WINDOWS ON THE WATER! FEATURES INCLUDE: LIGHT & BRIGHT OPEN FLOORPLAN, DESIGNER FINISHES, LARGE BALCONY W/UNINTERRUPTED WHITEWATER VIEWS, GOURMET KITCHEN W/STAINLESS STEEL APPLIANCES, 2 MASTER SUITES, SPACIOUS LIVING ROOM W/PANORAMIC OCEAN VIEWS, PRIME LOCATION WALKING DISTANCE TO LOCAL RESTAURANTS & SHOPS. GREAT TO USE AS A VACATION RENTAL. 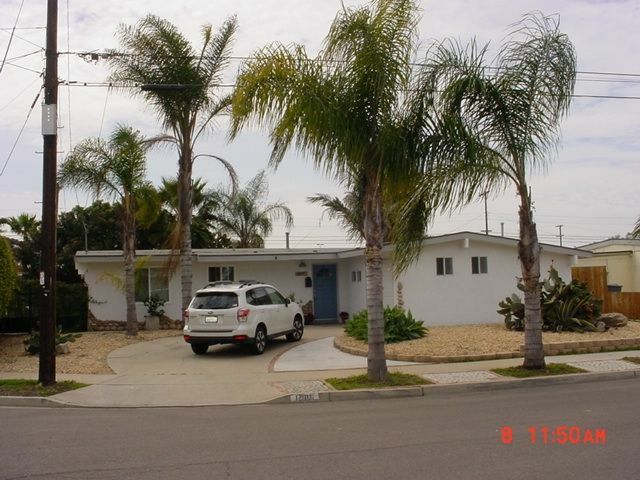 Imperial Beach living in a great area of town. 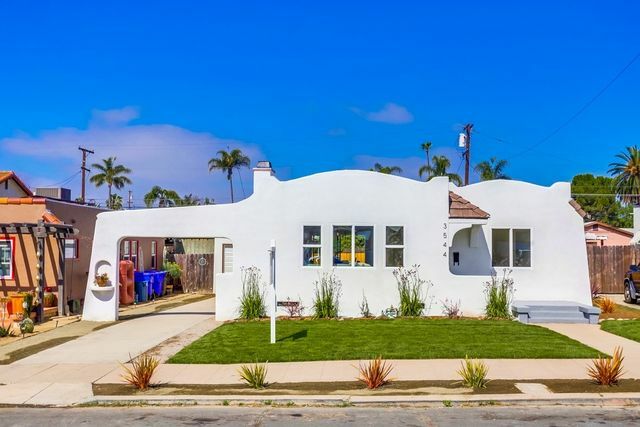 Recently remodeled and updated, this bright and livable home is ready to enjoy. A short bike ride or drive to the beach, local dining and shopping. Freeway close and near the Navy auxiliary airfield. Expected Available Date May 15. 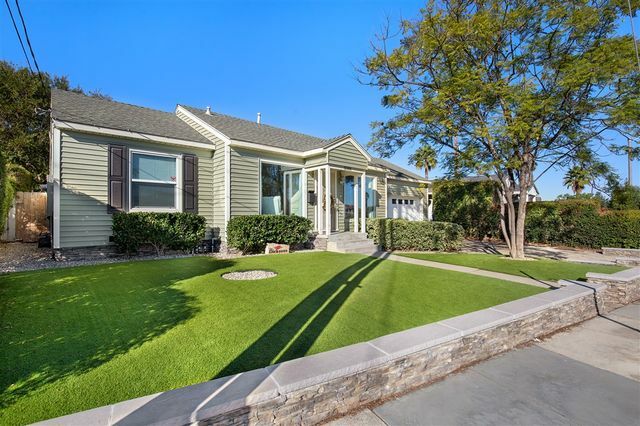 $609K-$639K Completely remodeled home w/a sparkling pool located on a premier street in Allied Gardens. Centered around a private courtyard, this home inspires indoor/outdoor living. Curb appeal abounds w/brand new landscaping, white picket fence, brick front porch, & custom wood entryway door. Enjoy the open floor plan, abundance of natural light, hardwood floors, remodeled kitchen & bathrooms, master retreat, central heat/AC, new windows/doors & new paint. 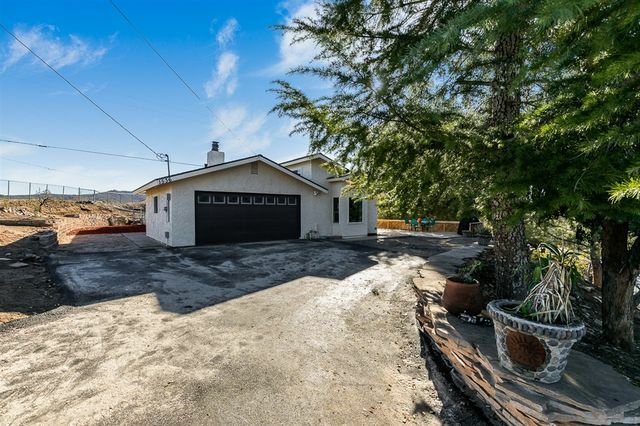 Fenced yard + oversized driveway & RV parking. First floor bedroom. LED lit floating steps lead you to this incredibly sophisticated and modern Black Mountain View Estates 2-story home. 12 ft and 8 ft panoramic doors disappear enhancing the continuity of indoor / outdoor space from the family room and completely remodeled kitchen to the 285 sq ft patio covered by an insulated wood ceiling and enclosed with a privacy net. 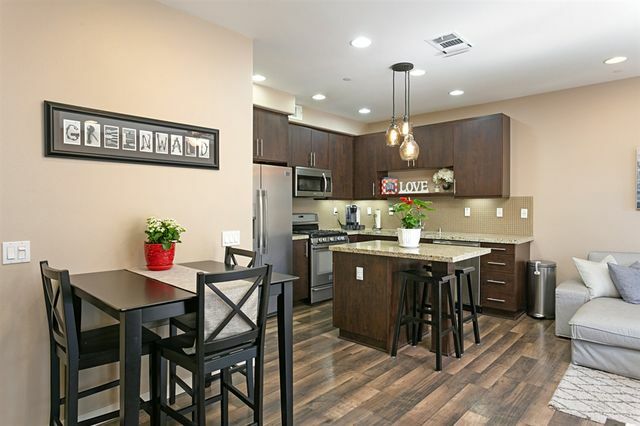 Beautifully Upgraded and loaded with Charm and Elegance, This Ground-Floor, End Unit Features Gleaming Granite Counters, Rich Colored Cabinetry, Stainless Steel Appliances, Crown Molding, Upgraded Flooring, and Much More! 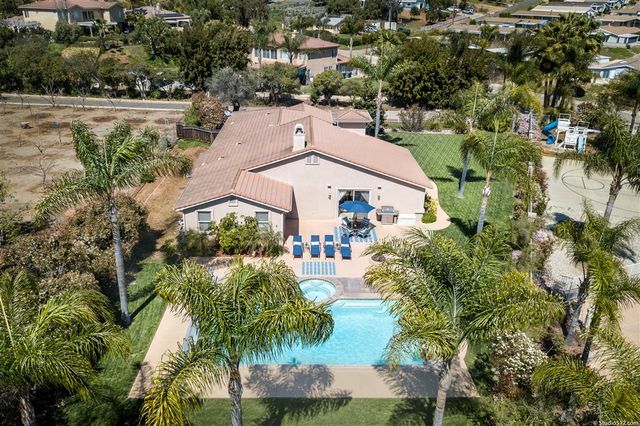 Enjoy Resort Style Living with Lush Landscaping, Multiple Pools, Spas & Fountains, Club House, Tennis Court, Fitness Center, plus 24 Hour Patrol. Just Steps Away, Lake Murray Offers Fishing, Boating, Bicycling or just take a stroll around beautiful Lake. Truly a Must See Home! This Beautiful 4 bedroom 2 bathroom Corner Lot . Home Come With An Additional 5th Bedroom That Has A Full Bath With A Separate Entrance. New Exterior & Interior Paint, New Kitchen Granite Counter Tops, New Flooring Throughout The Property, Landscaped Yard. 2 Car Garage. Close By All Freeway & Schools. Close To All K-12 Schools. New Remodeled Bathrooms. Come See Cause It Won't Last !!! Rare single level custom home, with no HOA on a large lot! Resort atmosphere style pool & spacious backyard make this an entertainers dream. Escape crowded neighborhoods & settle down into your forever home in this quiet, peaceful, perfectly finished dream home. Upgrades throughout! Kitchen boasts granite, stainless steel appliances, plenty of storage. Master suite & large family room allow for open space living. Low maintenance Pool Safe covered pool & spa set on a fully landscaped, fenced lot. Welcome home to this beautifully appointed condo with golf course views in the prestigious Masters Hill! This rarely available sun drenched model has tremendous privacy, featuring a spacious layout with an open concept living arrangement, perfect for entertaining. Upgrades include all new baseboards, crown molding, remodeled bathrooms with a spa like feel, and fire-glass fireplace. 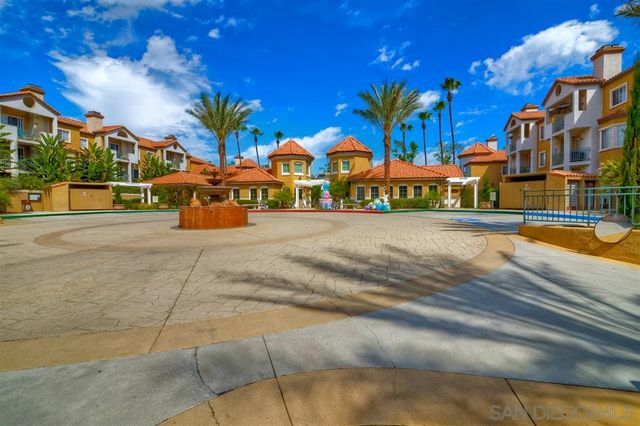 The complex feels like you are living at a resort, and best of all everything is included in the monthly fee except for SDGE. 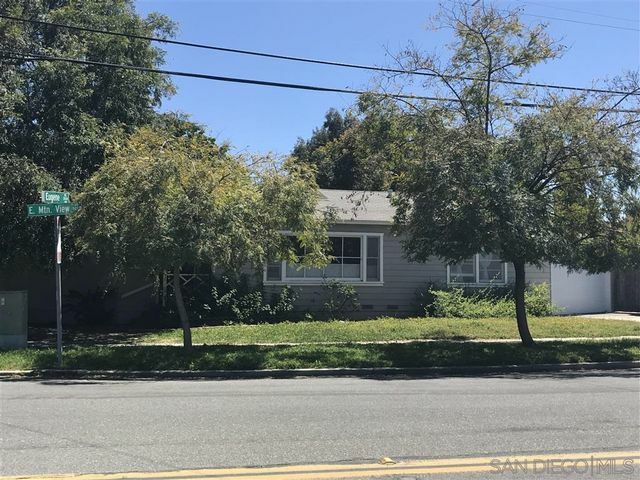 Cheapest entry level single family residence in San Diego for the convenient location to anywhere and view at back yard. Investors heaven for complete rehabilitation to bring the house value to market level. Cash only AS IS offer with proof of fund available to be considered. The highest and best get this hidden jewel. Agent has interest on ownership. Buyer or agent verify all measurements. Seller can sidder finance if needed. 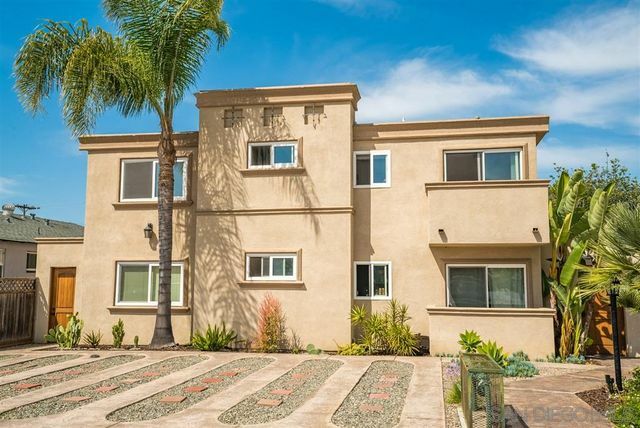 Spacious, single story, top floor condo ideally located in the Point Loma / Ocean Beach community. This unit shares no walls with neighbors and since it's on the top floor you get tons of natural light in every room. Two car garage with direct access. Kitchen appointed with solid quartz counters, newer cabinets & flooring. The two balconies provide great outdoor living space and are perfect for entertaining and enjoying the ocean breeze. Small 6 unit complex w/ extremely low HOA make this a can't miss! 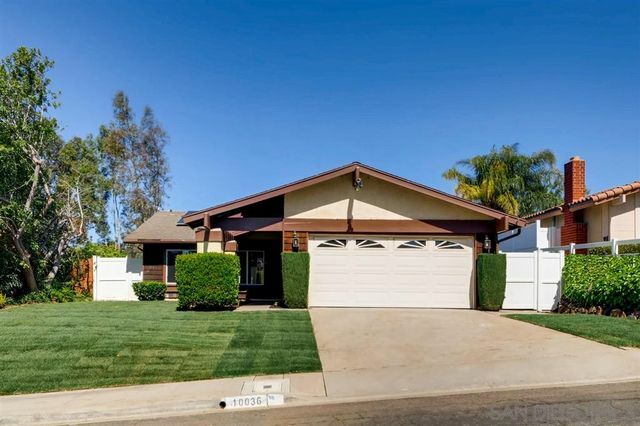 Seller will entertain offer between $695,000 and $775,000 for this beautiful three Bedroom, 2 bath single level Scripps Ranch home. – Yes… Loop street- very quiet with little traffic… Yes. Turn key… Yes – fresh new paint and carpeting, move right in. View…Yes, and neighbors are on different elevations, so loads of privacy. Walk to award winning Jerabeck elementary, community park and SR swim and racquet club. Additional upgrades include dual pane vinyl windows, granite counters in both baths. 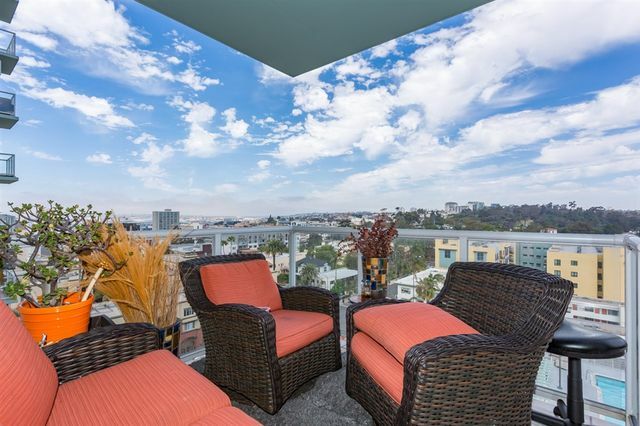 Stunning 14th-floor Luxury Residence at The Discovery in the heart of Cortez Hill . This 2 bedrooms 2 bath Very spacious open concept with floor to ceiling windows, Spectacular Views!!. Stainless steel appliances, granite countertops. 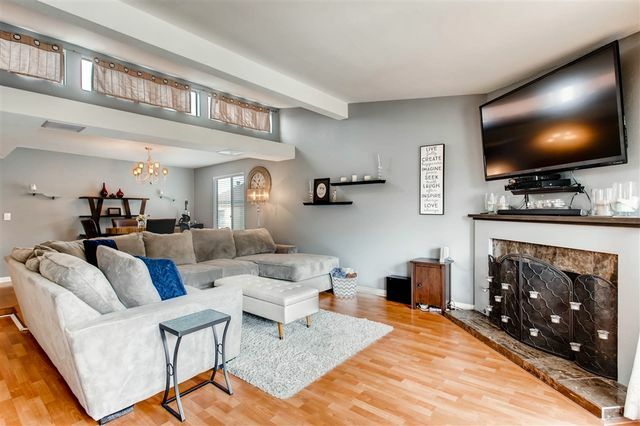 The living room is very spacious and features a gas fireplace, track lighting and so much more. Discovery has excellent amenities; including one of the nicest pools in downtown, gym, spa, sauna and more. GRAND OPENING THIS SATURDAY APRIL 27th 1PM - 4PM. One of only six new luxury condominiums in the heart of North Park's walking neighborhood! 6ix At North Park combines expansive outdoor terraces, open living spaces and designer finishes to satisfy even the most discerning of buyers. Pictures are of furnished model. Please see supplement for details. Fantastic starter home in a great community! Close to all. Must see! Welcome to this beautiful home featuring a spacious layout with engineered maple flooring on the main level & premium carpet upstairs. This home boasts recessed lighting, plantation shutters, & upgrades throughout. Immediately upon entering you are greeted by an abundance of light with soaring ceilings & a grand staircase in the formal living/dining space. The chef's kitchen has plenty of storage with rich wooden cabinetry featuring soft close drawers, stainless steel appliances, quartz countertops, & ..
Be the first to live in this beautifully remodeled home with incredible views!! Plank hardwood flooring, new kitchen, quartz counters, stainless appliances, new baths, new paint, new roof, new landscaping, new staircase, new carpet, recessed lighting, ceiling fans, ITS GOT NEW EVERYTHING!!! 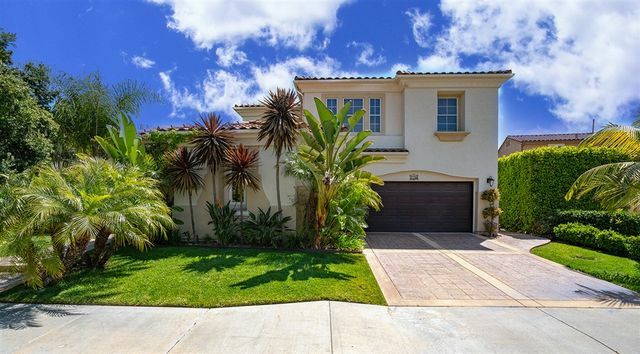 Live in a great La Costa neighborhood close to shopping, restaurants, beach, and schools. This home won’t last long and is ready for move in! 1 year minimum lease required. THIS MAGNIFICENT HOME BUILT IN DESIRABLE NEIGHBORHOOD NESTLED IN .15 ACRE IN THE COMMUNITY OF EASTLAKE TRAILS, OFFERS *5BR *4.BA *1 OPTIONAL ROOM, 2DOWNSTAIRS BEDROOM AND FULL BATH. 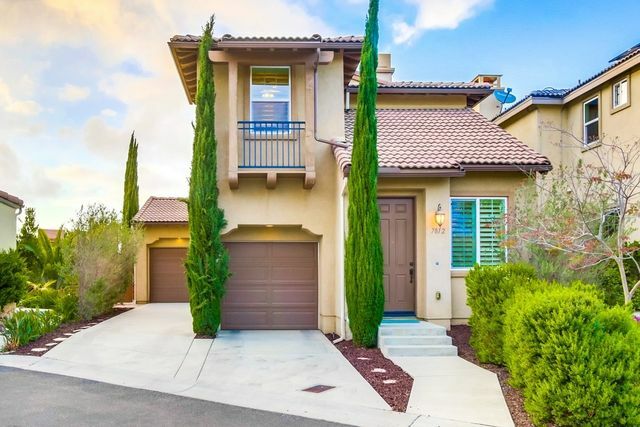 , 2FIREPLACES, OUTDOOR ENTERTAINING, gourmet kitchen with granite countertops, View to Mountains from balcony in master Bedroom, Gate entry Courtyard with a fountain, Surround with Parks and schools. HOA amenities include access to 2 Clubhouses: The Woods and South Creekside. A treasure trove of happiness and memories is awaiting your arrival at Via del Caballo Blanco. Amazing inside and out your new home will delight your family for years to come and is a must see to appreciate. The lush front yard welcomes you with open arms and invites you to experience your first step through the front door to the immaculate, well appointed interior with laminate wood flooring, wood finish crown molding, and wide open floor plan with views of the exterior from every picture window. GRAND OPENING THIS SATURDAY APRIL 27th 1PM - 4PM. 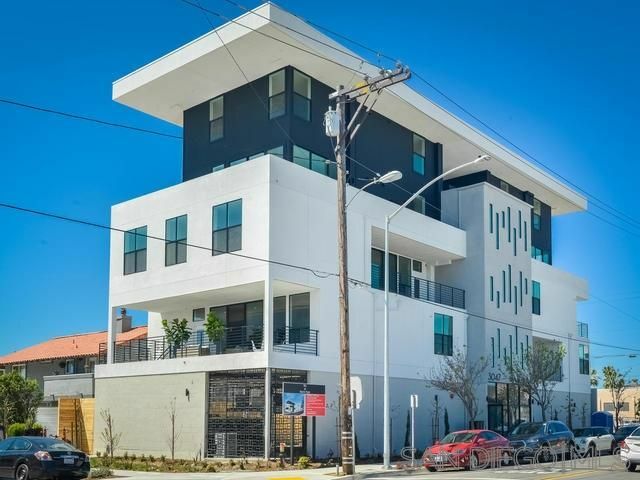 One of only six new luxury condominiums in the heart of North Park's walking neighborhood! 6ix At North Park combines expansive outdoor terraces, open living spaces and designer finishes to satisfy even the most discerning of buyers. This unit is the model unit and has upgraded designer wood flooring and carpet. 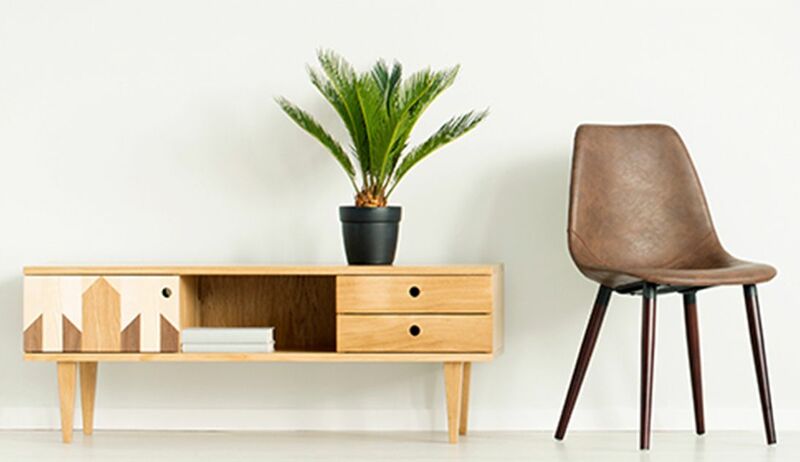 Pictures are of this furnished model unit. Please see supplement for details. Buying or selling a home? Contact me now by filling out the contact form below and I will get back to you soon. Looking forward to speaking with you! © 2019 Randy Libman - All rights Reserved.